criminal activity for ruining the USSR and collapsing a powerful commonwealth. President of the USSR Mikhail Gorbachev, regardless the articles of 1977 USSR Constitution, and under pressure of some Western states leaders, Freemasons, the USA Federal Reserve Sуstem, secret agents, agents of influence, the USA’s and other countries’ secret services deliberately favoured their efforts directed to the USSR collapse. In order to destroy the USSR and the Communist Party, abolish the socialist regime he organized and fulfilled mass looting of state and civil property through a range of personally set criminal groups. Looting was realized through corrupt practices, fraudulence, larceny and misappropriation. Moreover, M. Gorbachev committed sabotage, illegal traffic under aggravating circumstances and a high treason. On a basis of our thorough investigations we revealed that Mikhail Gorbachev misappropriated the position of the President of the USSR. According to the USSR Constitution it was illegal by definition. The USSR electors authorized their delegates to represents their interests. This commission was formulated by representative elections results (voting results reports). It should be taken under consideration that such a commission is a deal by virtue of its nature (“physical and juridical persons actions directed to establish, change or cancel civil rights and duties”). Acting as proxies, delegated of the USSR Congress of People’s Deputies are authorized to make deals on behalf of their electors. The particularity is that they are not authorized by a letter of attorney, but by voting results papers (reports and a deputy certificate). Equally, these deals are liable to the rule that all deals made in contravention to the law are illegal (unlawful). “Any act is unlawful if not abiding by the legislation” (p.1 art. 30 of the USSR Principals of civil laws). Mikhail Gorbachev was elected President in contradiction to the Principal Law namely the USSR Constitution, which no one has the right to infringe. Let us review the USSR Law of 14th March 1990 N1360-I “Establishing of a position of the USSR President and introducing of amendments and additions to the USSR Constitution”. The law is divided into 2 parts. The first part treats the amendments to the USSR Constitution (article “The President” (15.5)”. According to it the President is elected nationwide. The second part describes the exclusion that allows to elect the fist President not nationwide as stated by the USSR Constitution clauses but by the majority of votes of the People’s Deputies Congress. The USSR Constitution requires the nationwide elections of the USSR President and the law, which is always inferior to the USSR Constitution according to the legislative hierarchy and the Constitution clauses, embodies the regulation that the first USSR President is elected by the People’s Deputies Congress as an exception. The aforementioned amendment to the text of the USSR Constitution legalizes all actions directed towards the election of the USSR President. However, it has not been done. Consequently, this exclusion became contradictory to the USSR Constitution, while infringing its clauses, and thus must not be applied. The first part of the law came into effect (it had been added to the USSR Constitution) when the second part of the law contradicted to the USSR Constitution and could not have been applied. The deal that violated the law is unlawful (the elections that infringe the Constitution are illegal). Let us quote some abstracts from the Constitution as the Main Law. Article n. 126. “The USSR People’s Deputies Congress, the Supreme Council and their bodies’ rules of procedure are established by the Regulations of the USSR People’s Deputies Congress and the USSR Supreme Council and by other USSR laws, adopted with regard to the USSR Constitution”. The USSR People’s Deputies Congress could avoid this mistake if only this exclusion had been added to the text of the USSR Constitution. But the Congress did not do that. Consequently, all documents signed by Mikhail Gorbachev in behalf of the USSR President were unlawful. Mikhail Gorbachev who therefore appropriated the position of the USSR President, with help of evident and not evident criminal groups cancelled the powerful commonwealth as the USSR. This activity gave birth to the most massive in the newest history looting of the own state and a genocide of the USSR population. Mikhail Gorbachev who governed the state in behalf of his foreign protectors’ interests - first of all those of financial tycoons – caused to some three-hundred-million Soviet population a great pecuniary and non-pecuniary damage. The main goal of this treachery and high treason was the personal profit and wealth of Mikhail Gorbachev and his accomplices as well as his relatives and other family-related persons. The criminal group with Gorbachev in its head together with other officers operating in the USSR banking sector (and later in the banking sector of the Russian Federation), committed an unprecedented in its scale looting of national soviet treasures – gold, diamonds, platinum, copper, aluminium, oil, money and other assets. Looting was fulfilled through an abusive exercise of power, appropriation and embezzlement, fraudulence, sabotage, trafficking and exporting abroad the assets of the USSR Communist Party, the Soviet State and of other international organizations including the possessions of the Warsaw Pact members and Council of Mutual Economic Assistance membering countries. Mikhail Gorbachev was the head of this criminal organization. Among its most active accomplices we can name Alexandr Yakovlev, Eduard Shevarnadze, Viktor Geraschenko, Viktor Demintsev, Vladimir Kryuchkov, Nikolay Krouchina, Valentin Pavlov, Anatoly Chubais and others. Similar processes were present at the times of French revolution of XVIII century (criminals in power, after robbing their predecessors, get rid of their victims). During 27 years of existence of illegal private banking system administrated by the USSR State Bank, by the Russian Federation Central Bank and by commercial banks of Russia, pseudolegally and following the instructions of the Central Bank of the Russian Federation, all the local population was robbed regardless their incomes. Due to the illegal credit operations all robbed was transacted abroad to make it impossible to discover. In order to impede the documentary search the banks-accomplices were closed and their directors were annihilated by hands of ‘so-called victims and resentful depositors’. The criminal activity of Mikhail Gorbachev and his assistants like Viktor Geraschenko and other banking system managers of the Central Bank of the Russian Federation (Elvira Nabiullina) have been continuing so far and aiming mentioned hereinafter. During the cold war between the USSR and the West, in the first half of 1982, the western countries’ leaders elaborated a strategic programme aimed to favouring the collapse of the Soviet plan economy, deterioration in cooperation between the USSR and other members of the Warsaw Pact, imposition of reforms and as a result the wreck the USSR. After becoming the General Secretary of the Soviet Union Communist Party and later the President of the USSR, Mikhail Gorbachev initiated mottos of ‘perestroyka’, ‘glastnost’ and “openness’ with formation of multiparty political system. At the same time under the guidance of the Federal Reserve System (as his new bosses and partners) he established (under the pretext of conservation of the Party’s assets) some secret commercial structures of ‘invisible Party’s economy’ and began to export assets to the West. Starting from 1985, by adapting and implementing different decisions of the Party and the Government, Mikhail Gorbachev formed some structures of shadow Party economy on the territory of the USSR and abroad. All the financial resources were accumulated on the personal bank accounts of his faithful Party members. Mikhail Gorbachev set a task to provide material well-being of the Party by creating some steady sources of its financing both in Soviet and foreign currencies. However, instead of strengthening of the Soviet ruble, he placed a bet on the US dollar and on the contacts of the USSR Communist Party with foreign communist parties. Such orientation could help his plans to damage the national industry, transport system, agriculture and monetary trading system and other fields of the Soviet economy, together with the weakening of the defense capacities of the Soviet State. Mikhail Gorbachev together with his supporters did not make their way towards the power in order to reform and modernize the Soviet economy but to bury the communism and extinguish the USSR. He and his successors are admitting it open now (see their speech at the seminar at the American Institute in Turkey). The same is being stated by Anatoly Chubais here in Russia. In order to fulfill their criminal intention to extinguish the USSR Mikhail Gorbachev established the organized criminal society – so called ‘Gorbachev’s plan’. He recruited up to 2000 people to the previously established special “Z” group (among its creators were such betrayers of the nation as Yuri Andropov, Valentin Falin, Viktor Demintsev, Vladimir Dolghikh, Maria Pogodina and others) and personally compiled the list of individuals with access to this project from the members of the Central Committee of the Communist Party of the Soviet Union, The Administration of the Soviet Union Communist Party Central Committee and authorities of the Committee for State Security, the Ministry of the Finances and the USSR State Bank. The principals of the group included Vladimir Ivashko, Viktor Demintsev, Valentin Falin, Alexandr Dzasokhov, Piotr Louchinsky, Yuri Manaenkov, Andey Veselkov, Nilolay Krouchina, Vladimir Kryuchkov, Philipp Bobkov, Nikolay Moyseev, Andrey Brodsky, Viktor Geraschenko, Valentin Pavlov, Vladimir Orlov, Boris Ghidaspov. “Z” group was established in the USSR following the initiative of the billionaire Rothschild after he signed jointly with other Federal Reserve System managers (Rockefeller, Morgan, Baruch) the secret Washington agreement (September 1977) with the betrayers of the nation (V.Dolghykh, V.Falin, M.Pogodina, Bykovsky, Yermolaev etc). This agreements stipulated the agents of influence training, the construction of undercover factories, export from the USSR of gold, diamonds, rare-earth metals, oil, financial resources through deliberately established funds and banks under the pretext of creating some ‘safety bags’ for the next generations and preventing III World War. To implement this idea the Rothschild family established undercover from the US Federal Reserve System a special organization named “Phonton” (future “Z” group). In 1980-1984 Phonton formed on the USSR territory a special group of people totaling 184 individuals that was trained on the territory of Uzbekistan. After Mikhail Gorbachev increased “Z” group to 2000 people, it was relocated to Chekhov-city in Moscow region where it received its officers – the agents of the Committee for State Security Nikolay Moyseev, Andrey Brodsky, Leonid Veselovsky, Philipp Bobkov, Leonid Shebarshyn and others. To provide financing of “Z” special group whose activity was directed to damaging of the USSR economic and ideological basis, in 1982 the Rothschilds founded special “Wanta” fund. Following the directions of the Rothschilds, the Federal Reserve System delivered to “Wanta” accounts the substantial sums of money that were subsequently used for founding in the USSR of 33 financial funds which were further used for exiting assets from the USSR. Embezzlement and secret export illegally extracted Soviet row resources through the range of secretly built factories, cooperative associations and oil refineries. Looting of extracted gold, platinum, silver, diamonds, and embezzlement of the gold and diamond reserves of the USSR with their export to the western countries. Looting of currency and monetary reserves of the USSR with further transfer to their own accounts in western banks. Money supply emission and its secret export abroad for converting into foreign currencies and placing on private accounts in western banks. The USSR people’s and pensioners’ savings embezzlement from the saving banks. Transfer of the USSR budget resources into banks and commercial organizations established by the criminal group in the USSR and abroad. Assistance to the friends and associates abroad with the resources of the Soviet state. Tax dodging to the state from operations of many hundreds editing and other structures accountable to the Communist Party of the Soviet Union. Secret use of the state budget resources for the needs of the USSR Communist Party and world communist movement. Transfer to the private accounts of the Soviet Union Communist Party resources in a form of foreign currency and precious metals, movable goods and realty inside the country and abroad. The resource transfer from the USSR was directed by the Chairman of the USSR State Bank Viktor Geraschenko together with heads of other banks and officers of the Central Committee of the USSR Communist Party Valentin Falin, Vladimir Dolghikh, Viktor Demintsev, Vladimir Kryuchkov, Nikolay Krouchina, Valentin Pavlov, Karen Broutenets, Nikolay Moyseev and others. To implement the Washington agreement, for the period of 4 or 5 years on the territory of the USSR new affinage plants and new oil refineries were built with the foreign equipment and machinery and new technologies of gold, diamonds and oil extraction were introduced. The beginning of Mikhail Gorbachev and Viktor Geraschenko’s activity directed to withdraw financial resources. State criminals Mikhail Gorbachev and Viktor Geraschenko released a top secret instruction forwarded to Party principals and heads of banks of the USSR republics, territories and regions. In this instruction they urged the officers to “make and inventory of the Party and State possessions from the point of view of its commercial potential”. At the same time the substantial sums of money in a form of (non-repayable) financial assistance were being transferred to the firms of so-called friends residenting in the West on orders of Mikhail Gorbachev and the Chairman of “Vnesheconombank of the USSR”, through “Vnesheconombank of the USSR”. Millions of hard-currency equivalent rubles were transferred to foreign companies. When Nikolay Krouchina, the member of the criminal community, Executive Manager of the Central Committee of the Communist Party of the Soviet Union reported to Mikhail Gorbachev and Viktor Geraschenko about the absence of funds in the party finances to be transferred abroad to the aforementioned organizations, Mikhail Gorbachev abused his office and exceeded his authority by ordering the Chairman of the USSR State Bank to transfer funds of the USSR State Bank and to emit new currency notes. The finances were first transferred to “Vnesheconombank of the USSR” and then to the accounts of the ‘friendly firms’. In order to reform the USSR economy under the guidance of Mikhail Gorbachev the Law “About the state enterprise” was adopted in January 1988. According to this Law the State was indemnified against any responsibilities of the enterprises which came in contradiction to the USSR Constitution. Vice versa, the enterprise was indemnified against the State responsibilities. This law disorganized and chaotized the economic operations. At the same time, the centralized funds distribution was safeguarded. Ministries still had to supply the enterprises with all requires, yet the enterprises were entitled by the new law to distribute the received funds at their own discretion. The State economy turned into a one-way street. Thus, Mikhail Gorbachev abused his office and delivered the enterprises of any commitments before the commonwealth and after handed the enterprise assets into the arms of cooperators and swung the USSR’s borders wide open. In the years that followed the same principle was extended to the whole state banking system. According to Mikhail Gorbachev’s concept when the ‘X’ clock would strike these reserves had to be legally re- imported through his own banks into the country to purchase his own enterprises. Even at that time, far before 1992, Mikhail Gorbachev and his criminal community were getting ready to the privatization. The idea was realized during the ‘privatization’ of 1992-1995, executed by the active members of the group ( Viktor Geraschenko, Anatoly Chubais, Piotr Aven, Alfred Koch, Boris Berezovsky, Mikhail Khodorkovsky, Roman Abramovich and others, totaling 24 persons), who received 20 600.000.000 (twenty billion six hundred million) USA dollars from the bandit privatization incomes in February and March 1992. In 1988-1989 cooperatives, established according to ‘Gorbachev and the Party’s decision’, exported from the USSR half of the customer goods manufactured in the country and half of the actual assets. The inner market collapsed and the industrial goods and provisions disappeared. Viktor Geraschenko, after taking up the position of the Chairman of the USSR State Bank Board of Directors, in 1989 upon the secret deal with Mikhail Gorbachev and Nikolay Krouchina took a decision to embezzle and transfer abroad financial resources from the accounts of the State Bank of the USSR. First, these officers took a decision to sell out the rubles abroad at a bargain price. There was an absolutely secret letter of order to establish a special dollar exchange rate for members of the Central Committee of the USSR Communist Party and for the clerks of the State Bank of the USSR. The top managers could exchange one US dollar per 62 kopecks while the ordinary people exchanged 1 US dollar per 6 rubles 26 kopecks. The members of the Central Committee of the Soviet Communist Party and nomenclature officers of the banking system could take out bank loans without limits, buy up stable currency and transfer it abroad together with opening private accounts in foreign banks. To facilitate the Soviet ruble transfer abroad Mikhail Gorbachev in league with Minister of finances V. Pavlov and Chaiman of USSR State bank V. Geraschenko engaged a Swiss financial expert Schmidt and other experts intermediating in ‘dirty’ deals. Schmidt flew to Moscow for the negotiations with V.Geraschenko and Valentin Pavlov. They agreed on withdrawing from circulation in the USSR and further sale of 280 (two hundred and eighty) billion of roubles, and they fulfilled that afterwards. In November 1985 Mikhail Gorbachev assigned Viktor Demintsev, an active member of the “Z” group, the Minister of finances, who under a secret agreement with Viktor Geraschenko organized the transfer of 490 (four hundred ninety) billion of Soviet rubles from the State Bank of the USSR. The financial sources were withdrawn to Hungary and then distributed among 80 accounts in banks in different countries. Later, after assuming a large amount of dollars on the accounts of the State Bank of the USSR, Viktor Geraschenko and Nikolay Kroucina in accordance with Mikhail Gorbachev took a decision to transfer these resources abroad. In order to do that in 1989, Nikolay Krouchina in presence of the leader of “Z” group Nikolay Moyseev handed over 5 636.315.078.660 (five trillion six hundred thirty six billion three hundred fifteen million seventy eight thousand sis hundred sixty) US dollars to another “Z’ group member Vladimit Mikheevsky. V.Mikheevsky jointly with Vladimir Gorbanovsky transferred these financial resources abroad and placed into accounts in Swiss banks. The present finances were intended for a further conversion and organizing of trades with world mason mafia with the participation of the USSR. These resources were used to open deposit accounts in 21 countries of Western Europe and in 18 accounts in the USA, Canada and Japan. 6 accounts out of these were intended for supporting documents and insurances. Afterwards, Nikolay Krouchina in presence of Nikolay Moyseev delivered a part of the value documents for present resources to Elena Latysheva, a member of “Z” group and the founder of the International Stock Exchange in London. Elena Latysheva used a part of this sum to pay off 245 (two hundred forty five) million US dollars for the further capital of the International Stock Exchange and 255 (two hundred fifty five) million US dollars for London Broker Corporation. The mentioned broker’s office is owned presently by Elena Latysheva. She has been providing up to date the “Z’ group principals headed by Viktor Geraschenko and Mikhail Gorbachev for maintenance through this company accounts. 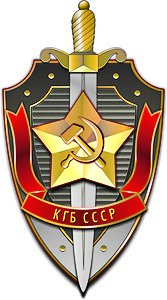 Krouchina and V. Geraschenko appointed KGB colonel Leonid Veselovsky to export the USSR fixed assets. Under the guidance of L. Veselovsky and with assistance of V. Geraschenko and N. Krouchina the network of firms and financial institutions was established. Philipp Bobkov, the First Vice-chairman of the Committee for Sate Security KGB, was appointed the network supervisor. In the span of some few months Leonid Veselovsky, participating in the criminal network controlled by Viktor Geraschenko, Nikolay Krouchina, Mikhail Gorbachev, Zhosan, Evgeniy Primakov, organized and founded with the funds of the USSR and the USSR Communist Party 1453 (one thousand four hundred fifty three) businesses with foreign ownership and joint-stock companies with miscellaneous shares, having invested the provided by V. Geraschenko and N. Krouchina sums of 14 (fourteen) billion of rubles and 5 (five) millions of US dollars in for-profit businesses. Some 600 organisations dealing with transfers of assets abroad and hiding them in foreign banks were established on the territory of the USSR; they were exchanging currencies, exporting gold, diamonds, oil, made hidings in the USSR and abroad. These organizations were established with help of the financial resources of “Richmond” Bank. Upon the instruction of Viktor Geraschenko, L.Veselovsky founded in Switzerland “Siabeko” company guided by Boris Birshtein which was a linker to the companies in the USSR. In order to fulfill the financial operations, L.Veselovsky under the patronage of Viktor Geraschenko established “Most-Bank” with V. Gusinsky as its director. “Most-Bank” received 3 (three) billion rubles as its registered capital, which was equal to 2 500.000.000 (two billion five hundred million) US dollars at the exchange rate of that time. To compare with, all commercial banks of the USSR at those times possessed only 2 billion US dollars in total. “Most-Bank” and then “Onexim-Bank” were the main banks that transferred money to the West in 1989-1992. In order to create the banking network V.Geraschenko and N.Krouchina engaged the Ministry of Finances of the USSR headed by V.Pavlov and then by the new Minister Vladimir Orlov. The First Head Office of KGB USSR with assistance of L.Veselovsky established ANT concern, and appointed as its director Vladimir Ryashentsev, a USSR KGB agent and as its vice-director Valery Dybov, an officer of the First Head Office of the USSR Committee for State Security. The concern was engaged in weapon sales, earning dozens of billions of dollars, selling tanks and other arms and transferring its profits into business accounts, appointed by Viktor Geraschenko and Mikhail Gorbachev. These business accounts abroad were controlled upon the personal order of Mikhail Gorbachev and Viktor Geraschenko by their close people: Karen Brutenets (Mikhail Gorbachev’s personal adviser) and S.Pospelov, Viktor Geraschenko’s proxy. On 27th June 1990 a commercial bank “Rossia” with the registration no. 328 and further capital of 31 million of rubles was registered in the State Bank of the USSR. As agreed with Mikhail Gorbachev, the Administrative office of the Leningrad region Committee of the USSR Communist Party became the bank founder. After the collapse of the USSR Viktor Geraschenko hid there the “shadow money” of the USSR and its citizens. Following the same scheme, “Glavmoststroibank” in Moscow-city and “Slavyanbank” in Veliky Novgorod were established. Upon Mikhail Gorbachev and Viktor Geraschenko’s order Philipp Bobkov was recruiting agents to manage the Party’s possessions in personal interests. On the eve of Perestroyka the Head Office of USSR Committee for State Security with the help of betrayer of the nation Oleg Kalugin took under control liberal youth Anatoly Chubais, Egor Gaydar and others. They were brainwashed and directed to Austria to continue training and establish relations. At those times Austria was the European centre of finances. Viktor Geraschenko and Mikhail Gorbachev were training their successors in advance. Besides Egor Gaydar, Anatoly Chubais, Piotr Aven, the Lubianka cobweb caught future magnates Mikhail Fridman, Alexandr Smolensky, Mikhail Khodorkovsky, Boris Berezovsky, Vladimir Gusinsky, Vladimir Potanin. With efforts of Viktor Geraschenko and Nikolay Krouchina these individuals were allowed to gather start capital at the expense of USSR resources and the resources of the USSR Communist Party and thus, to become magnates under Yeltsin’s presidency. At the beginning of 1990 upon the special order of Viktor Geraschenko and Nikolay Krouchina the reserves of the USSR Communist Party were converted through “Menatep” bank and other structures belonging to Mikhail Khodorkovsky. Vladimir Orlov, who opened accounts in Swiss banks with falsified documents, after the State Committee for the State of Emergency (GKChP) due to Viktor Geraschenko’s protection became All-Russian stock exchange bank Board of Directors’ in charge of deposit nominee certificates, that allowed him to transfer the hard currency in any quantities without any paperwork, identifications and income source declarations, as well as to organize export of money and valuables from the country. In 1990 Viktor Geraschenko opened abroad “Fimako” firm. The State Bank of the USSR through its Paris office registered this firm in off-shore zone in the Normand islands. This off-shore zone serves as a money laundry for drug lords, American mafia and European fraudsters. “Fimako” was directed by the European Bank under Viktor Geraschenko’s control. 78% of the company’s stocks belonged to Geraschenko’s close associates. This firm transferred to the West Soviet assets, namely 2 500.000.000 (two billion five hundred million) US dollars, settling on Viktor Geraschenko’s and his relatives’ accounts. Viktor Geraschenko used “Fimako” for exporting Russian assets until 1999, when the criminal activity of this firm was disclosed, and Viktor Geraschenko had to answer some hard questions in the General Prosecutor’s Office of the Russian Federation. In agreement with Anatoly Chubais and through “Fimako” firm in 1993, Viktor Geraschenko established “Yevrolfinance” commercial joint-stock bank. Viktor Geraschenko and Anatoliy Chubais manipulated foreign creditors and financial resources of the Russian government through “Fimako” firm and “Yevrolfinance” bank, participated with state short-term bonds (SB) in pyramid investment schemes, they factually invested the reserves in debt holding and high-risk ventures of their own government. As a result of their activity, in 1998 SB pyramid burst out and turned millions of Soviet citizens’ savings into dust. Fraudulence and bogosity from the part of Viktor Geraschenko had continued for many years. After the “black Tuesday” of 1994, that resulted in Viktor Geraschenko’s dismissal from his position of the Chairman of the Central Bank of the Russian Federation, still assuming the position of the Chairman of the State Bank of the USSR, which had been secretly relocated by Boris Yeltsin and by Viktor Geraschenko to Tatarstan with a secret agreement with Mintimer Shaymiev. Viktor Gerascenko himself created International Moscow Bank on the basis of “Yevrolfinance” commercial joint-stock bank and became its Chairman. Abusing his office as a director of a secretly operating at that time “Rossia” bank, where the funds of the ex-USSR had been accumulated, he transferred to the International Moscow bank a part of the finances from accounts in “Zolushka”, “Princessa” and “Globus”. For the short period of time, the International Moscow Bank and the Savings Bank of the Russian Federation became the biggest banks in the Russian Federation, which were used in 1992-1999 by Viktor Geraschenko for exporting the financial resources from Russia to the West (it even continued under the new managers of the Central Bank of the Russian Federation, as well as under the office of Elvira Nabiullina). In 1986 Viktor Geraschenko in coordination with Mikhail Gorbachev and other members of “Z” group established the Federal Investment Bank for exporting the monetary funds abroad and he became its founder together with an executive in the USSR Ministry of the Foreign Affairs Soldatov and others. To export resources, Viktor Geraschenko used both the International Investment Bank founded in 1972 and the International Bank for Economic Cooperation founded in 1977 for implementing the Washington agreements. With the support of Vladimir Kryuchkov and Vladimir Gladyshev, Viktor Geraschenko established abroad “Gladyshev’s Fund” in 1986. The accounts of “Gladyshev’s Fund”, the Federal Investment Bank and the International Investment Bank as well as “Khalif” fund were opened in many Western banks. Viktor Geraschenko personally was the chief-accountant of “Gladyshev’s Fund”. Simultaneously, was he a bank officer for “Gladyshev’s Fund” accounts and for “Zolushka”, “Globus” and “Princessa” secret accounts. Viktor Geraschenko accumulated on the accounts of these organizations the capital assets and liabilities of the USSR, of the czar’s and princes’ kin of the USSR deposited in foreign banks. All the financial flows of this fund and the aforementioned secret accounts were supervised by Viktor Geraschenko jointly with Viktor Demintsev, a member of Politbureau of the Central Committee of the USSR Communist Party, afterwards Boris Yeltsin’s financial counselor. Viktor Geraschenko on the grounds of the “Gladyshev’s Fund” Statute and under the commission of Mikhail Gorbachev established subsequently “Raisa Gorbacheva’s Fund”. In 1989-1991 Viktor Geraschenko, assuming the position of this fund’s officer for bank accounts, sold illegally to the West via “Raisa Gorbacheva’s Fund” through the network of contacts approximately one million tons of oil, and placed the profits into accounts in Western banks. Moreover, “Raisa Gorbacheva’s Fund” received the financial resources from the illegal diamond sales, exported in 1989-1991 via “Fenix” close corporation and “Zodiak” enterprise. Thereafter, “Zodiak” enterprise was transformed into “Zodiak-K” Ltd. and “Zodiak-Invest Ltd.” with residence in Yalta. “Zodiak-K” Ltd. illegal activity was fulfilled through following companies: “Gran” close corporation, “Kraton” close corporation, “Tatneft-Kraton” close corporation, “Tatneft-NN” close corporation, “Suvar” JSC, “Tan” Association for social and economic development, “Diamond-Tan” Ltd., “Kadik-Centre” Ltd. and “Uchreditel” Ltd. with legal addresses in Tatarstan, Arkhangelsk region and Yakutia. On 5th May 1991 Viktor Geraschenko registered “Fund for social protection of the youth” in Novy Urengoy in Tumen’ region. Evgeny Kononevich, Vladimir Gladyshev’s natural son was appointed a Manager of this Fund. “Fund for social protection of the youth” Statute was coordinated and endorsed by Viktor Geraschenko, Valentin Pavlov, Vladimir Kryuchkov and Nikolay Krouchina. The mentioned fund was registered with US Federal Reserve System, in United Nations and in the USSR. Viktor Geraschenko appeared its bank officer. Evgeny Kononevich on behalf of the “Fund for social protection of the youth” opened an account no. 467240 in “Flora-Moscow” commercial bank, a correspondent account no. 161231 in the Central Regional administration of the State Bank of the USSR, which was controlled personally by Viktor Geraschenko. The accounts of “Fund for social protection of the youth” in “Yugorsky” bank (Moscow-city) contained 750 (seven hundred fifty) million US dollars accumulated by Viktor Geraschenko and Evgeny Kononevich from the oil trading contracts in 1993-1994. The financial resources of “Fund for social protection of the youth” were also kept in “Flora-Moscow” bank on the correspondent account no. 161231. The large amounts of money from “Fund for social protection of the youth” were transferred into accounts in “Yugorsky” bank by Viktor Geraschenko, which raised objections from the side of Yuri Kantor, the “Yugorsky” bank Top Manager. As a result he was killed in 1995 and his brother Oleg Kantor who took over his position the bank “Yugorsky” bank Top Manager, was killed afterwards, too. Viktor Geraschenko insisted that “Yugorsky” bank be liquidated and the amassed resources be transferred to the accounts of the individuals appointed by Viktor Geraschenko. In order to accomplish the Washington agreements 7 undercover plants for golf refining, 4 plants for diamond cutting, 4 new oil refining plants were built on the territory of the USSR in 1984-1989 with the export equipment and new technologies for gold, diamonds and oil extraction. All manufactured production from these plants was smuggles abroad upon the secret instructions of the functionaries and was stored there in specially provided warehouses on the territory of the USA, Great Britain, Germany, Switzerland, Lebanon, China and others. In a transition period of 1991-1992 “Z’ group was at the top of its activity. At that period of time Viktor Geraschenko and Mikhail Gorbachev administrated “Z’ group through their secondary. They ordered to speed up the resources export and to place them in Western banks into accounts of appointed individuals who thus became their guards and secret accounts owners. Because they were afraid of being disclosed and accused in treason and country ravaging, “Z” group accomplices for technical support, responsible for transportation and privy to the group’s methods of operation and familiar with the material resources guards, were liquidated, as well as all those who objected to Mikhail Gorbachev and Viktor Geraschenko’s criminal activity and afterwards to Boris Yeltsin’s one. Liquidation was executed on the command of Boris Yeltsin and Mikhail Gorbachev. Indeed, only in 1991-1992 at least 1750 (one thousand seven hundred and fifty) people who participated directly in funds exporting were murdered. In order to conceal their criminal activity, Mikhail Gorbachev, Viktor Geraschenko and Boris Yeltsin gave a command to take away many archival records from the county. Later, in April 1992 the “Z’ group managers Nikolay Moyseev and Andrey Brodsky transported abroad the main “Z’ group archival records on amassing financial resources in the West, together with documents of the czar’s times and of the Soviet period. In October 1992, on a commission of the Masters of the Universe and Illuminati, a gang of betrayers with Nikolay Moyseev and Andrey Brodsky as its heads carried out a terrorist act on the territory of Smolensk region and secured some vehicle transporting secret archival records that proved the fact of export and storage in the West of funds totaling 100 (one hundred) billon rubles and 540 (five hundred forty) million US dollars, as well as two secret laboratories manufacturing satellite dishes, which had been moved in to the USSR from Germany after our Western group military units had cleared their territory. In 1992, the same gang pulled off the “Amegel” operation on transportation to the West of the liquid gold on board of submarines. After that, in 1992 the Principals of “Z’ group Nikolay Moyseev and Andrey Brodsky was murdered on the country political Top Managers’ order to prevent them from revealing Mikhail Gorbachev, Viktor Geraschenko and Boris Yeltsin’s treacherous operations. At the time of Boris Yeltsin’s office Viktor Geraschenko and Mikhail Gorbachev who controlled the resource export from the USSR, together with their foreign managers (the Rothschilds, the Rockefellers, George Bush Sr., Margaret Thatcher) and the Order of Masonry with aide of the czar’s false heirs in Russia and of Grand Duchess Maria Romanova, one of the Illuminati Order of Masonry Principals, insisted that Boris Yeltsin took up the administration of “Z’ group and continued further robbery of the Russian Federation. Starting from 1992, Viktor Geraschenko, as an active member of the Order of Masonry, pursued a perfidious and treacherous policy under the guidance of Boris Yeltsin and his corrupted kin known under ‘Family’ nickname. In order to make Boris Yeltsin accept these functions, the Masters of the Universe though the International Reserve Fund of France (where all the czar reign resources were accumulated) administrated by Grand Duchess Maria Romanova, bribed Boris Yeltsin and his men with 46 800.000.000 (forty six billion eight hundred million) US dollars. In 1992, with Viktor Geraschenko’s assistance through his Vnesheconombank this sum was transferred to Russia, divided into 5 and put into personal accounts of Tatiana Dyachenko, Viktor Chernomyrdin, Mintimer Shaymiev, Nursultan Nazarbaev, and Mr. Gore, an American citizen. A part of the sum totaling 20 600.000.000 (twenty billion six hundred million) US dollars, assigned for Viktor Chernomyrdin, were divided afterwards between Viktor Geraschenko’s, Boris Yeltsin’s and Viktor Chernomyrdin’s men: Roman Abramovich, Boris Berezovsky, Vladimir Gousinsky, Alexandr Smolensky, Vladimir Potanin, Mikhail Khodorkovsky, Mikhail Prokhorov, Platon Lebedev, Mikhail Fridman, Vaghit Alekperov, Alexandr Mamut, Mikhail Lesin, Anatoly Chubais and others, 24 in total. They are so-called ‘fist-wave oligarchs’, who had been trained in Soviet times by Viktor Geraschenko. Due to received resources through Vnesheconombank and with help of Anatoly Chubais, the aforementioned individuals bought up and privatized into their possession the main ex-USSR industrial capacities, submitting them to the Illuminati Order of Masonry and “Z’ group. After receiving the stated sum of money, Viktor Chernomyrdin, with accord of Boris Yeltsin, signed with USA Vice-President Al Gore a secret agreement on export to the USA of 500 (five hundred) tons of weapon-grade plutonium estimated 11 900.000.000 (eleven billion nine hundred million) US dollars. At those times, the real price of that amount was estimated at least 8 (eight) trillion US dollars. Vladimir Michurin, V.Mikhailov, Andrey Bykov, Vladimir Kuznetsov and other principals of “Sever” Fund took part in a weapon-grade plutonium transportation in Tsuk-town (USA). When General Lev Rokhlin tried to publish documents of the secret export of weapon-grade plutonium, his attempt cost him life. The profits from weapon-grade plutonium sale totaling 11 900.000.000 (eleven billion nine hundred million) US dollars were distributed under Viktor Geraschenko’s control among the participants in the operation’s private accounts and missed the country’s budget. For a period of 1992-1994 the Central Bank of the Russian Federation headed by Viktor Geraschenko issued license certificates for establishing 300 new banks for further resources transferring abroad upon so-called ‘chechen aviso’. It was fulfilled with the personal control of Viktor Geraschenko and heads of departments of the Central Bank of the Russian Federation and a Chechen group with Shakhidov as their leader and under control of Alexandr Voloshyn. One of their final operations was executed jointly with “Agro” bank headed by Likhachev. Likhachev blocked the transfer of profits abroad after one of their gross operations totaling 1 200.000.000 (one billion two hundred million) US dollars and was killed as a revenge. Later, the operation upon Chechen aviso was finished but Viktor Geraschenko found other ways of exporting assets abroad. In 1993 the Central Bank of the Russian Federation in person of Viktor Geraschenko and the Ministry of Finances of the Russian Federation in person of Andrey Vavilov signed with Kenneth Brody, President of the American Export-Import bank USA a triple agreement for Russian projects financial support. Upon this agreement, all projects supported by the Ministry of Finances of the Russian Federation in a form of guaranties from the Government of the Russian Federation, were liable to financial investments with support of the European Bank for Reconstruction and Development (EBRD) aiming to investing financial resources provided by the International Monetary Fund. According to EBRD accountability, due the agreement signed between Kenneth Brody and Viktor Geraschenko, 12 (twelve) billion US dollars were forwarded to the Russian Federation supposedly for different regional development programmes presented by Andrey Vavilov, including off-shore banks accounts and correspondent accounts in Baltic Transit Bank and Parex-Bank. Subsequently, if compared with the real sums received in the Russian Federation for the really existing programmes from supposedly transferred funds, deficiency difference composed 11 700.000.000 (eleven billion seven hundred million) US dollars. Consequently, Russia received out of this sum only 300 (three hundred) million US dollars, when 11 700.000.000 (eleven billion seven hundred million) US dollars were embezzled by Viktor Geraschenko, Anatoly Chubais and Andrey Vavilov via off-shore zones and transferred into their personal accounts as well as Mikhail Gorbachev’s and Boris Yeltsin’s funds accounts and their next to kin’s accounts and accounts of so-called ‘Yeltsin’s family’ – Anatoly Chubais, Roman Abramovich, Boris Berezovski, Viktor Chernomyrdin etc. In 2000, when the Auditing Chamber of the Russian Federation reviewed financial documentation in Vneshtorgbank (VTB), which had been engaged into transferring the aforementioned resources, it refused to produce the full information on tranches of 1993-1994, according to Viktor Geraschenko’s instructions. That’s why the Auditing Chamber’s officers stated in their report that the amount of 11 700.000.000 (eleven billion seven hundred million) US dollars had been included into the gross external USSR debt to the West totaling 27 (twenty seven) billion US dollars that were paid off afterwards by Viktor Geraschenko from the Russian Federation budget resources. On 25 December 1991, Boris Yeltsin convened a meeting of the Security Council of the Russian Federation. Upon the decision of the Security Council of the Russian Federation and following Viktor Geraschenko’s recommendation, Evgeny Kononevich, Head of “Fund for Social Protection of the Youth” was appointed in change of forming hard currency resources in the Central Bank of the Russian Federation with a position of a permanent member of the Security Council of the Russian Federation. Moreover, Evgeny Kononevich received the position of the permanent member of the Monetary Committee of the US Federal Reserve System, as agreed by Yeltsin and US President G.Bush Sr. According to Boris Yeltsin’s Decree no. 335 dated 30.12.1991 and by virtue of the Governmental Decree no. 909192 dated 31.12.1991 Viktor Geraschenko elaborated a secret instruction of the Central Bank of the Russian Federation 03133 dated 30-31.12.1991 “Forming of hard currency resources in the West”. To the moment of its signing, according to Viktor Geraschenko’s order, the Western bank accounts contained exported gold resources, precious metals resources and bond-like papers for the total amount of 1 775.000.000.000 (one trillion seven hundred seventy five billion) US dollars. On the basis on these right-stating documents Viktor Geraschenko and Evgeny Kononevich prepared agreements on financial regulation and financial cooperation between the Russian Federation and the USA, and between the Russian Federation and Germany. The agreements were signed by the State Principals. The same agreements were signed likewise with other states as well. These agreements stipulated the terms of storage in the West of exported from Russia money, gold, diamonds, platinum, silver, copper, oil, gas and formation of assets in behalf of so-called “Z’ group members and ‘Yeltsin’s family’ members. Evgeny Kononevich tried to favour the further maintenance and growth of the Russian wealth. In the years that followed, starting from 1993 till February 2004 he tried to oppose “Z” group representatives headed by Mikhail Gorbachev, Viktor Geraschenko and ‘family’ members headed by Anatoly Chubais. Under the guidance of Viktor Geraschenko, Anatoly Chubais, Boris Berezovsky and Alexandr Voloshyn the group of individuals united in a ‘family’, occupied all the leading governmental positions and transformed themselves into main corrupted characters. They engaged into their criminal affairs heads of defense and law enforcement agencies, army, banks, universities, institutes, institutions of art and culture, and mass media. The officials who did not want to take part in Viktor Geraschenko and ‘family’s “Z’ group unlawful activity, were bullied by vassal law enforcement and controlled mass media. They were arrested without any reason and brought to court. Sergey Shashurin in 1993, Vladimir Kuznetsov, Lev Rokhlin, Evegeny Kononevich in 2004 and many other became subjects of illegal prosecution. All the efforts of Evgeny Kononevich to carry out his direct duties and form the country’s currency resources via the “Fund for Social Protection of the Youth” in 1991-1994 and later in 1994-2001 were immediately blocked by Viktor Geraschenko and other members of the ‘family’ that embraced hereafter Viktor Chernomyrdin, Valentin Yumashev, Oleg Lobov, Oleg Soskovets, Tatiana Dyachenko, Nikolay Kovalyov, Viktor barannikov, Vladimir Rushaylo and others. Under the pretext of implementing the “Programme for boundary regions” adopted by European Security Council and the agreement signed between Russia and the European Government no. 001/94 dated 15.06.1994 a secret Programme no. 00627 for illegal amassing of gold resources and other assets and their export and storage abroad was elaborated and adopted 13.12.1994 in the closed meeting of the Security Council of the Russian Federation. Later, in order to implement this Programme, the Central Bank of the Russian Federation with Viktor Geraschenko as its Head opened some secret accounts with code names “Zolushka”, “Globus”, “Princess” and others. Evgeny Kononevich was appointed in charge of the Programme realization under the supervision and personal control of Viktor Geraschenko regardless his present office. During the practical realization of the Investment contract clauses no. 001/94 from 15.06.1994 Evgeny Kononevich encountered the strong resistance from the side of Viktor Geraschenko and his ‘family’ members. When the impossibility to conduct the mentioned Investment programme through his “Fund for Social Protection of the Youth” became obvious, Evgeny Kononevich decided to establish a private company, namely “Daurskoe mining company Ltd” close company (hereinafter DGK+) with foreign participation interest. The company was established on 7th October 1994 under Viktor Geraschenko’s control and was supposedly aiming at stabilization and accountability of world financial flows exported from the USSR for realization of the Russian Federation economic programmes. World financial institutions consolidated DGK+’s advantage of executing the programme. During its existence DGK+ Ltd. close company issued different security bonds accepted by different banks and the US Federal Reserve System for the total sum of 800 (eight hundred) trillion US dollars. The ex-USSR security bonds were placed in 74 western banks under control of the US Federal Reserve System and The Monetary Committee of the US Federal Reserve System. The DGK+ Ltd. assets and security bonds together with other Russian assets compose the basis of the US Federal Reserve System. Over a number of years, starting from 1996, Evgeny Kononevich on behalf of DGK+ Ltd. was claiming back the documents on the bank accounts that had been opened for DGK+ Ltd. in 74 banks worldwide, in his pursuit of withdrawing these resources for their further reinvestment into the Russian Federation’s economy. However, Viktor Geraschenko and other officers of the Central Bank of the Russian Federation and the Ministry of Foreign Affairs of the Russian Federation (“Z’ group and Yeltsin’s ‘family’ representatives) and Anatoly Chubais especially, impeded his attempts. Their sole task was the export of the resources, thus, they put all their efforts to block their reinvestment into the Russian economy. In this regard, DGK+ Ltd was called illegal and closed up on command of Anatoly Chubais. When Evgeny Kononevich knew about his company liquidation in January 2004 without any legal notice, he tried to find out the reason for its liquidation and to oppose Viktor Geraschenko’s and Anatoly Chubais’s actions, but he found a sudden death on 3rd February 2004. “Tissa” JSC of the close type controlled by Viktor Geraschenko and Josan, in 1994-1998 under its contracts exported to the West gold and other precious metals for the total amount of 650 (six hundred fifty) billion US dollars. The aforementioned company had operated until 1998 and then, on command of Viktor Geraschenko and members of his ‘family’ was transformed into the Inter-regional public charity fund “Human-Earth-Universe”. The Inter-regional public charity fund “Human-Earth-Universe” operated mainly through Viktor Geraschenko and his subordinated banks - “Moscow people’s bank”, “VistokStroyBank”, «INTERMEDIAS MEN», «ISTRAL BANK MAYBE KRISE NATIONAL BANK», «Israel Bank» and banks in Australia, Lithuania, banks in Lugano, Zurich and others. These banks have concentrated on their accounts some 5 (five) trillion US dollars. Under pressure of the Rothschilds and on Mikhail Gorbachev’s command and later on command of the Presidium of the Supreme Soviet of the USSR the deposit of the USSR gold from the Russian historical treasures was placed on the territory of the USA in Fort Knox Gold Depository. This deposit of gold was targeted to investment requirements satisfaction of a range of states by agreement with Mikhail Gorbachev, Boris Yeltsin and Viktor Geraschenko as the Peace Guarantors. Ivan Kobzar, Lieutenant General of the Committee for State Security of the USSR was appointed in charge of storage of the gold in Fort Knox Gold Depository from the USSR’ side; all paperwork in Fort Knox was issued in his name. In the USSR all paperwork was issued in the name of Vladimir Kobzar, Major General of the Committee for State Security of the USSR, Ivan Kobzar’s son. Currently, only these two persons are entitled to dispose of the gold after the Soviet Union collapse. At the moment, the gold deposit in amount of 35 000 (thirty five thousand) of metric tons of gold has been transferred into the depositary in Houston, Taxis, USA. The deposit has been filed with the Certificate of the gold deposit 1(one) million of US ounce each in a form of Note-Golden Deposit bonds for the total amount of 35 000 (thirty five thousand) of metric tons of gold. The US Federal Reserve System on behalf of the American part issued load certificates in favour of the USSR with the right of sign of the sole physical person namely Ivan Kobzar. After the USSR collapse and Mikhail Gorbachev’s dismissal from the position of the USSR President, the organized criminal community including Ivan Kobzar, his son Vladimir Kobzar, Vladimir Romanov, Sergey Yegurnov, Irina Bekhtina and some foreign citizens stole and took away from Russia about 2 (two) trillion US dollars to place them on private accounts of these and other individuals in Western banks through “INFINKO” company, the International Christian Charity Fund, “SOSTEK-HOLDING” and “SOSTEK-MONITOR” companies (both belonging to Vadim Durov) with assistance of “Binnitex” company (headed by A.Shmakov) and well as with aid of defense and law enforcement agencies principals. Gorbachev’s gang administrated by Viktor Geraschenko and others in London “ABC” bank controlled by the Rothschilds keeps financial documents for the total amount of 65 000 (sixty five thousand) tons of gold – so-called ‘Philippine gold’, imported to the Philippines by Japan from the occupied counties during the war. The documents for this gold had been received at Andropov’s office in 1983, according to the initial Stalin’s requirement as the USSR share in the Second World War winners’ capitals. This gold in amount of 65 000 (sixty five thousand) tons was titled in Gennadiy Tyannikov’s name, the President of the Church treasurer’s office, “Z” group member and one of the heritors of Russian reigning dynasties. Anatoly Lezhnev, a “Z” group member, mentors the Philippine gold deposits. 486 (four hundred eighty six) accounts secured by the Philippine gold with trillions of US dollars on them were opened in different banks all over the world; the accounts are administrated by Gorbachev’s and Gerascenko’s criminal communities, the Order of Masonry illuminati and “Z’ group. The people of Russia, who lost at least 27 (twenty seven) million lives during the World War II cannot make use of these resources. USSR President Mikhail Gorbachev, RF Presidents Boris Yeltsin, Vladimir Putin and Dmitry Medvedev deliberately diverted these funds from inputting into the Russian economy and have been doing it up to date. They are being used by the Rothschilds and the US Principals with no regard to the interests of the Russian people for launching wars in numerous countries e.g. in Ukraine. Mikhail Gorbachev, abusing his office and authority, knew about 3 500 (three thousand five hundred) tons of gold, exported from the USSR in 1945-1950 and was aware of 67 000 (sixty seven thousand) tons of gold exported from the USSR in the 1970ies and in the 1980ies according to Bretton Woods agreement but took no measures to use these assets for the needs of the Russian people. Moreover, he appointed Mr. Frank Jose Antonio Dias, known as Severino Garcia Santa Romana, an American citizen, G-48 member as the USSR representative and the owner of the gold resources. The Central Bank of the Russian Federation opened in his name some special accounts as follows: acc. no. 4302011, acc. no. 001900050-5, acc. no. № 1109879 for metal deposits with 67 000 (sixty seven thousand) tons of gold, stored in no. RRR SGSR-735999-CBRE in Fort Knox, USA and 89 (eighty nine) billion US dollars. On security of this gold deposit in some US banks and in 9 banks in the Russian Federation special secret accounts were opened containing trillions of dollars guaranteed by 67 000 (sixty seven) tons of gold, however, due to the betrayers of the nation’s secret deal – Mikhail Gorbachev and Viktor Geraschenko - these accounts are administrated by the US Federal Reserve System, are used for benefits of the secret global government and cannot be used for the welfare of the Russian people. In 1985-1991 “Z” group under general administration of Mikhail Gorbachev, Viktor Geraschenko and others, looted and exported abroad the huge amounts of the USSR assets in a form of money supply, gold, platinum, palladium, diamonds, hundreds of millions of tons of oil and other material values. The majority of these assets were placed into accounts of hundreds “Z’ group members and foreign citizens in hundreds of banks worldwide. All the aforementioned criminal deeds of betrayers of the nation Mikhail Gorbachev, Viktor Geraschenko and others became the main drivers of the USSR collapse in 1991. Before the final destruction of the USSR in 1991 Boris Yeltsin appeared the main betrayer of the nation and the USSR destroyer after Mikhail Gorbachev and Viktor Geraschenko, together with his successors and Viktor Geraschenko among them. Far before the USSR destruction Boris Yeltsin eroded the USSR sovereignty and by abusing his office, on 13th July 1990 on the basis of the State Bank of the RSFSR established the new Central Bank of the Russian Federation whereas The Russian Federation had not been existing yet. This illegal Central Bank of the Russian Federation was established under the guidance and with participation of the Rothschilds and Viktor Geraschenko himself. The Central Bank of the Russian Federation had been executing these functions and responsibilities until 2017 by illegally engaging the USSR State Bank’s assets. The Central bank in the majority of the countries of the world is a particular institution that cannot be associated with any branch of the state power (legislative, executive, judiciary). In Great Britain this is Bank of England, established in 1694 (soon after the Glorious Revolution). In France this is Bank of France, established in 1800 (11 years after the storm of the Bastille). In Japan the Central Banks was founded in 1882, in the midst of the Meiji Revolution. The State Bank in the Russian Empire was established in 1860, with the start of Alexander II’s reforms which stood up for a relatively bloodless bourgeois revolution. ‘The money owners’ who had been knows before as usurers took up the noble name of ‘a banker’. They required central banks not only as ‘money making tools’ but as a power winning tool above all. ‘The money owners’ eventually dreamed to become ‘the world owners’. As cynically stated a member of the Rothschild family, “give me a chance to print money and I don’t care who adopt which laws”. The History remembers other banks as well. For example, the USSR had the State bank. It was a state institution, the member of the government together with dozens of ministries and departments and which was assigned with a particular task to emit money. The State Bank functions were of especially technical nature, it operated under control of the Cabinet of Ministers of the USSR and State Planning Committee of the USSR. For a while, it was a subordinate of the Ministry of finances of the USSR. At present, the Central Bank of China, called the People’s Bank of China (established with assistance of the State Bank of the USSR) has the same status – it is strictly incorporated in the state top-down governance: it is headed by the National People’s Congress (top legislative power) and the Standing Committee (the Cabinet of Ministers analogue). Moreover, the People’s Bank of China operates under surveillance of the public prosecutor’s office and undergoes regular audits of the Ministry of the control. Thus, the People’s Bank of China reveals no attempts to win the powers in the country. Chinese Central Bank fulfills technical functions of emitting money and of benefiting the money circulation within the country. At present in Russia the Russian Federation Central bank’s status is determined by the unlawful Constitution of the Russian Federation (adopted on 12th December 1993) and by the Federal Law of the Central Bank of the Russian Federation (no. № 86-ФЗ from 10.07.2002 with numerous amendments and additions). For a quarter of the century have we been living with the Constitution of the Russian Federation and for more than a couple of dozens of years with the Law of the Central bank of the Russian Federation. However, for the time being neither ordinary people nor professional attorneys or financiers have been given a clear explanation what kind of institution it is. The way the Central Bank’s functions have been formulated cannot be treated unambiguous. Thus, the article 75 (p.2) of the RF Constitution states that “The protection and ensuring the stability of the ruble shall be the major task of the Central Bank of the Russian Federation, which it shall fulfill independently of the other bodies of state authority”. The word ‘other’ and the end of the quote clearly treats the Bank of Russia’s status as a body of the state power. Article 1 of the Law on the Central bank of the Russian Federation states that “The status, purposes, functions and powers of the Central Bank of the Russian Federation (Bank of Russia) are stipulated by the Constitution of the Russian Federation, this Federal Law and other federal laws. The Bank of Russia shall fulfill the functions and exercise the powers stipulated by the Constitution of the Russian Federation and this Federal Law independently from other federal bodies of state power, the bodies of state power of the constituent entities of the Russian Federation and local self-government bodies”. This formulation also embraces the idea the Central Bank of the Russian Federation is a body of the state power, namely of a federal level. The Ministry of culture fulfills the restoration and maintenance of the heritage assets and other cultural assets but it statute states nothing to do with ‘independence from other federal bodies of state power’. The Law on the Public Prosecution Office of the Russian Federation also mentions no ‘independently from other federal bodies of state power’ or anything similar. Moreover, The Constitution of the Russian federation states that the Bank of Russia fulfills ‘independently from other federal bodies of state power’ only its main function namely ‘the protection and ensuring the stability of the ruble’. Nevertheless, the Law on the Central Bank of the Russian Federation replaced the Constitutional stipulation. It does not state only the basic Bank of Russia functions stipulated in article 75. Please, find below the quote of the article 1 of the Law “Functions and powers stipulated by the Constitution of the Russian Federation and the present Federal Law”. The Law expanded incredibly the Bank of Russia’s independence. It reveals to be totally independent in carrying out its functions. to ensure the stability of the financial market of the Russian Federation. The Constitution of the Russian Federation delegated to the Bank of Russia its independence only for the first aim from the list. Its independence in fulfilling the rest of the list was not provided by the Constitution of the Russian Federation. The authors of the Law on the Bank of Russia inserted the rest of ‘independences’ undercover. It is nothing but fraudulence. However, the professional attorneys keep winking at this deviation from the Constitution of the Russian Federation. The article 4 of the Law on the Central Bank of the Russian Federation gives the comprehensive list of the Bank of Russia functions necessary for fulfilling its aims stipulated in the article 3. Initially, it contained 19 points. However, the amendments to the law have been continuously introducing for 15 years. The article 4 has been enlarged with a great number of some new functions with the total list of four dozens of points for the time being. All of them are fulfilled according to the article 1 “independently from other federal bodies of state power, the bodies of state power of the constituent entities of the Russian Federation and local self-government bodies”. The Law on the central bank of the Russian federation has become the true ‘Trojan horse’ in which its authors tried to hide numerous clauses contradictory to the Constitution of the Russian Federation. Step 1. The phrase ‘independently from other federal bodies of state power’ has been incorporated into the Constitution’s stipulation regarding the Bank of Russia’s functions for ‘the protection and ensuring the stability of the ruble’. Step 2. In the Law on the Central bank of the Russian Federation adopted nine years after the Constitution of the Russian Federation the stipulation of ‘independence’ has been extended to all fields of activity of the Bank of Russia ( bearing in mind their present diversity, since staring from 2013 the central Bank of the Russian Federation has become a financial mega-regulator). Step 3. The public conscience has been introduced with the idea of the fact that the Bank of Russia is completely independent from the State. The process of introduction of this false concept started immediately after an adoption of the Law on the Central Bank of the Russian Federation and the principals of the Central Bank of the Russian Federation together with some politicians and liberal mass media were actively involved in this process. In 2003-2004 we witnessed a very curious situation that was being widely monitored with a great interest. The situation was related to Viktor Geraschenko, who had become the country’s main bank President four times (twice for the State Bank of the USSR and twice for the Bank of Russia). After a while of his final resignation from the position of the Chairman of the Bank of Russia in 2002 Viktor Geraschenko tried to obtain a personal pension, as he considered himself a ‘pensioner with a particular status’. On 16th 1995 the President of the Russian Federation signed an order no. 854 which implied additional pension support for state top managers. The list of the “pensioners with the special status’ included the chairman of the Bank of Russia. However, when Viktor Geraschenko was intending to obtain his “special pension support’ of the ex-Chairman of the Bank of Russia (and the State bank of the USSR), some law conscientious men remembered the ‘independent’ status of the Central Bank of the Russian Federation and claimed that Viktor Geraschenko had not been the ‘state top manager’ and thus was not allowed to receive extra pension support from the state budget of the country. It was a long story but very curious and didactic one. Even President of the Russian Federation Vladimir Putin got engaged in it and on 7th June 2003 he signed his order “Social guarantees for Viktor Geraschenko”. You probably think that in his order Vladimir Putin insisted on Viktor Geraschenko’s pension compensation from the state budget. None of that. He interceded before the Board of Directors of the Central Bank of the Russian Federation so that they would make a decision to provide Viktor Geraschenko with additional pension support ‘from the Bank of Russia’s sources”. Let us leave out some details. It is widely knows that Viktor Geraschenko did not succeed in obtaining his greatly desired ‘personal pension’. This story is not interesting foremost with Viktor Geraschenko’s pension as so (he is not a poor man). His request was turned down with a conclusion that the Bank of Russia was not listed among the state institutions. It deserves a special remark that in this situation Vladimir Putin considered the Bank of Russia as a public institution indeed. Regardless the Constitution, in a real life the people who are called to protect the Russian Law, must obey the actual (and not juridical) status of the Bank of Russia as an institution independent from the State. The relations between the Public Prosecutor’s Office of the Russian Federation and the Bank of Russia can be described as relations between two sovereign states grounded on the principles of co-existence and non-interference in the internal affairs of another commonwealth. In 1997 these two institutions signed the cooperation agreement. Two dozens of years later, in February of the current year they signed a new agreement. As stated in the press-release of the Bank of Russia, the aim of the agreement signing was “organisation of the active informational cooperation between departments”. “The agreement is directed at the activation of cooperation with a view to a juridical consolidation in a field of credits and finances, stabilization of the banking system and the financial markets of the Russian Federation, protection of the interests of financial services consumers, counterstand to activity of illegal organisations in a sphere of consumer credits (loans) as well as legalization (laundering) of income from the criminal operations and financing of terrorism. The cooperation between the Office of the General Prosecutor of the Russian Federation and the Bank of Russia may take forms of councils, conferences, meetings of inter-departmental working parties, checking-out of statistical data as well as cooperation within specially convened working parties” – the document states. The present relations of a diplomatic protocol between the Bank of Russia and the Prosecutor’s Office of the Russian Federation resemble the theatre of the absurd. Especially because the Law “The Prosecutor’s Office of the Russian Federation” explicitly stipulates that “the Prosecutor’s Office of the Russian Federation constitutes the unified Federal centralized system of bodies, which fulfill on behalf of the Russian Federation supervision over observance of the laws in force of the territory of the Russian Federation” (article 1). It implies that the Prosecutor’s Office of the Russian Federation is meant to supervise the Bank of Russia’s observance of the clauses of the Constitution of the Russian Federation (especially article 75), of the Law on the Central Bank of the Russian federation, other laws and regulatory acts of the Russian Federation. However, the Prosecutor’s Office failed to do it. Neither did any other state institution of the Russian Federation (the Audit Chamber of the Russian Federation, the Federal security Department, courts of arbitration). It means in fact that for the quarter of the century the Bank of Russia has been resident on the Russian territory as a foreign institution (e.g. like a foreign embassy and foreign military base). To be frank, starting from the last year, some signes became obvious that the relations of a diplomatic protocol appear to be unsatisfactory, especially because of the Law “The Prosecutor’s Office of the Russian Federation” which implies that the Prosecutor’s Office is responsible of the Bank of Russia’ prosecutor’s supervision. Last summer the Russian mass media mentioned briefly some facts of procuratorial supervisions of the Bank of Russia in its part responsible for the banking control. Anonymous sources stated that the supervision was initiated ‘from upstairs’ with the aim of business interests protection. Other sources informed that the initial start of the supervision was due to the petition in the autumn 2015 to the General Prosecutor’s Office of the Russian Federation and to the Head Department of the Ministry of Internal Affairs of the Russian Federation of some 200 clients of “Probusinessbank” suffering from illegal actions of the Bank of Russia and the Agency for deposit insurance which had raided their bank’s assets. The list of initiatives of the Prosecutor’s office towards the Bank of Russia contains the points that follow. In February 2016 the General Prosecutor’s Office of the Russian Federation made a submission to Chairman of the Central Bank of the Russian Federation Elvira Nabiullina, pointing out to an unsatisfactory control over micro-financial organizations and pawnshops. In spring 2016 the General Prosecutor’s Office finished its inspection in the Bank of Russia regarding its policy of appointing investors for the bank resolution. As a result of the inspection, the prosecutors reprimanded the Bank of Russia because of the absence of any regulatory acts listing the criteria of selecting investors, which “favours uncontrolled disposition of financial resources allocated for the bank resolution measures”. To the respect of the Bank of Russia, in June 2016 it issued an instruction stipulating the conditions of participation in the bank resolution. Nevertheless, the Bank of Russia avoided to legislate its instruction about sanctions and grounds of terminating a bank license. This question stays at the discretion of the RF Central Bank’s officers. We up to date have no legal regulation on the banks’ further actions after their illegally terminated license became operative again, and thus, the courts do not even try to argue with the Bank of Russia and continue to decline the complaints of the bank officers of unlawful actions of the Central Bank of the Russian Federation in terms of the license termination. “The Prosecutor’s Office qualifies the Central Bank of the Russian Federation beyond the jurisdiction of the Russian Federation” – the deputy said. In the beginning of the last year some deputies from the Communist Party of the Russian Federation like Valery Rashkin, Sergey Obukhov and others sent a petition to the General Prosecutor’s Office of the Russian Federation that the operations of the mega-regulator lead to the further inflation and ruble devaluation. However in response to their petition the General Prosecutor’s Office gave an explanation that the “questions of monetary and credit policy regulation lie in the field of the State economic activity”. Bearing in mind the clauses of the Federal Law “The Prosecutor’s Office of the Russian Federation” the procuracy authorities are not competent to give its legal evaluation, was the answer of the Department. The relations between the General Prosecutor’s Office of the Russian Federation and the Bank of Russia aggravated this summer when the General Prosecutor’s Office of the Russian Federation filed a protest against the decision of the bank of Russia to terminate the license of “Yugra” commercial bank and it required to stop compensational payments to the bank depositors. The protest was ignored by the Central Bank of the Russia Federation. It was not before long, at the end of July, that in frames of the same situation with “Yugra’ bank the General Prosecutor’s Office of the Russian Federation initiated the inspection and called for questioning Vasily Pozdyshev, the Deputy Chairman of the Bank of Russia and Orlenko Anna, the Director of the Supervising Department of the bank of Russia, but both failed to pay a visit to General Prosecutor’s Office of the Russian Federation. Thus, the Central Bank of the Russian Federation did not become beyond the State but superior to the State although its right place was to be a body of executive power under control of the Parliament (State Duma), the Government and the Prosecutor’s Office. We insist that the legislation regarding the Central Bank of the Russian Federation bears a conflict of interests of different groups. The Central Bank of the Russian Federation according to the article 75 of the Constitution of the Russian Federation is a body of a state power. The additional proof may be found in the article 1 of the Federal Law on the Central Bank of the Russian Federation. Obviously, when the functions of a body of a state power and the functions of state economic, financial and commercial management are combined in frames of one organization, it leads to a situation called ‘a conflict of interests’. It creates a fertile ground for corruption and abuse of power, the efficiency of functions and tasks undertaken by the body of the state power slips down as well. The signs of the conflict of interests are obvious in the Bank of Russia’s activity. Together with emitting money, the bank fulfills many other functions, for example, the Bank of Russia is an institution of a banking supervision and as so must be unbiased and bribeless guard watching over all commercial banks in the country. The article 8 of the Law on the Central Bank of the Russian Federation apparently antisipates the possible conflict of interests in a sphere of a banking supervision: “The Bank of Russia shall not be entitled to participate in the capital of credit institutions unless federal laws stipulate otherwise”. The same article states: “The Bank of Russia shall not be entitled to participate in the capital or be a member of other commercial or non-commercial organisations if they do not provide support to the activities of the Bank of Russia and its institutions, organisations and employees, except for the cases established by Federal laws”. Why they make an exception from the Law for the Savings Bank (PAO Sberbank) of the Russian Federation and the Bank of Russia participate in the capital of this commercial bank? (The Bank of Russia is the main stockholder of the Saving Bank with its share of 50% + 1 stock). Many have accustomed to consider the Savings Bank as a state one. It is an affiliation of the Bank of Russia. Thus, many clauses of the Law of the Central Bank of Russia are actual for PAO Sberbank. For example, article 2 states: “The state shall not be liable for the obligations of the Bank of Russia and the Bank of Russia shall not be liable for the obligations of the state”. Some are so naïve to think that in case of bad times for the Savings Bank the Russian Establishment will rush to save its client’s savings. Although, the present Savings Bank (PAO Sberbank) has not a tiny relation to the State. In case of a necessity the Establishment will remind the Sberbank depositors about article 2 of the Law on the Central Bank of the Russian Federation. The Bank of Russia as a body of banking supervision favours greatly its ‘off-spring’. Let’s recall May 2010. Sergey Golubev, former Vice Chairman of the Central Bank of the Russian Federation in his meeting with students in St-Petersburg made two sudden announces. After he returned to Moscow he was told off by his bosses on Neglinka Str., and the Central Bank of the Russian Federation issued immediately a press release explaining how well the supervision on the Savings Bank is organized. But in their circles the bankers state there is no supervision over Sberbank. In summer 2017 the Central Bank of the Russian Federation decided to reorganise “Otkrytie” commercial bank and for the first time applied a new sanation technique. Before, the Central Bank of Russia had helped problem banks with the Bank of Russia’s credits or with funds of the Deposit Insurance Agency. During the resolution of “Otkrytie” bank the financial injection was carried out in form of participation in the bank capital. At the end of August the Central Bank of Russia took a decision to participate in “Otkrytie” bank capital with 75% share while the previous possessors would keep 25% of stocks. BIN-bank will be the next in the line (the Bank of Russia has not evaluated its possible share in BIN-bank capital). In that manner, using the legislative gaps, the Board of Directors of the Central Bank of the Russian Federation continues to illegally expropriate banks’ capitals and by violating its own instructions it terminates their license and raids the funds of private banks. The Law on the Central Bank of the Russian Federation has been amended with some additions which enabled to establish a special investment fund for a financial resolution of failed banks. The fund is not a legal body and its assets are isolated from the other property of the Bank of Russia, moreover, the fund is administrated by a separate company. This fund as so fulfilled the financial injections of “Otkrytie” capital. Nevertheless, this casuistry cannot eliminate the Bank of Russia’s conflict of interests. Let us consider the People’s Republic of China’s experience. The People’s bank of China is not engaged into issuing or terminating of bank licenses neither deals with the banking supervision. There is a special organ in charge – the commission that regulates the banking operations (China Banking Regulatory Commission, CBRC). Together with the Bank of China it is a part of the executive branch of the government and is subordinate to China’s State Council. The bank of China also watches over the banks but its role is secondary when CBRC’s one is primary. In many countries the functions of the banking supervision are not delegated to the central bank but to special institutions (banking regulators) – among them Canada, Denmark, Sweden, Norway. In some countries the functions of the banking supervision are carried out by central banks jointly with specially assigned regulators – Switzerland, France, Germany, USA). The banking supervision is fulfilled solely by the Central Bank of Australia, Iceland, Italy or Portugal. But you can find not a single country where (like in Russia) the central banks is responsible simultaneously for commercial banks crediting, participates in commercial banks’ capital and holds monopoly for the banking supervision. It is hard to imagine more fertile ground for corruption and abuse of power for the principals of the Central Bank of the Russian Federation. However, some seemed to find that unsatisfactory. From 2013 the Bank of Russia has been functioning as a financial mega-regulator, spreading its tentacles all over the national economy. You hardly find such banks-octopi in the world, which tend to regulate everything around (financial markets, insurance companies, auditing firms). In most cases they are the central banks of ex-USSR territory (Armenia, Georgia, Kazakhstan, Lithuania, Estonia). And they do not participate in capital of commercial banks. The President of Russia and the Federal Assembly should know that the Federal Law on the Central Banks requires serious amendments and additions in many of its aspects. The law requires changes to exclude the conflict of interests emerging due to the Bank of Russia combining the state administrative and commercial activity. Bankers in their private discussions claim that the Central Bank of the Russian Federation ruins the Russian economy instead of reorganizing banks. We have quite a few proofs for that point of view. For example, in “Otkrytie” bank that was nationalized by the Bank of Russia, 150 something small banks had held their correspondent accounts. They collapsed together with “Otkrytie” and their deposits were transferred into accounts of the Central Bank of the Russian Federation. We have plenty of facts similar to that one and our legislators pay no attention to them. Thus, we feel free to suspect that the Central Bank of the Russian Federation is administrated by those who benefit its efforts towards a further robbery of the Russian economy and destruction of the Russian Federation. Before 2013 the structure of the world financial administration was following: the US Federal Reserve System emitted dollars and distributed them among banks – as well as central banks of other countries. These banks de facto belonged to the US Federal Reserve System and were located in countries depending on the US Federal Reserve System. In countries- recipients their central banks sold dollars on local prices and in this way controlled the economy of occupied territories. For example, in Europe the bank interest rate constitutes a part of per cent while in Russia it is 10 and more often 20 per cent. Naturally, the higher is the rate the slower the economy turns. Speaking in terms of Physics, a refinancing rate is a coefficient of friction. The higher it is the tighter go the wheels of economy. Up to 2013, the Zionists who had purchased the US Federal Reserve System understood that it would come to the end of its existence and made the next step. They excluded the central banks of their control and made them juridical units independent from the US Federal Reserve System. Thus, the central banks kept their functions although ‘mother’ US Federal Reserve System came to its end. Next, the central banks transformed the becoming extinct US Federal Reserve System into their inner structures. It turned out that the central banks became superior to the US Federal Reserve System, while it retained its functions of a printing press and a political institution. However, it kept its brand and structure. As a result of this operation, it issues legal and legitimized dollars and US Federal Reserve System itself continues its existence. A few months ago the Masters of Universe were addressed by the representatives of the Rothschilds and the Rockefellers. They requested the Guardians to allow them to legalize issued after 2013 non-legitimized dollars. But the Guardians declined their request and then the Rothschilds and the Rockefellers decided to transport the printing press to Qatar. It is widely known what happened to Qatar. It was its endurance test. Now the central banks have become the chief players of Zion. They exist in any country where the dollar, the pound or the euro circulate. These currencies are nothing but the same currency unit. Only their names differ. Some years ago Zion ordered to its central banks to invade the world. The primary task set before the central banks was to eliminate the local banking networks. In the Russian Federation the Chairman of the Central Bank Elvira Nabiullina executed this command but by no means in favour of the Russian Federation. There are some more lines of destruction carried out together with the first one. Another line is so-called ‘czarina’ Maria Hohenzollern, the off-spring of the same criminal impostor emperor’s kin. Her father was an officer in Adolf Hitler’s Headquarters, who literally had hired him to wage a war against the USSR. False czarina Maria Hohenzollern acts under the flag of the monarchical regime restoration on the territory of the present Russian Federation turning the Russian Federation principals against their citizens. This operation is an excellent camouflage for aforementioned activity of the Central Bank of the Russian Federation. The third line is so-called ‘Soviet’ men (hereinafter ‘thieves’ and ‘betrayers’). The Committee for the Sate Security was actively involved in the USSR’s demolition under control of Mikhail Gorbachev, Viktor Geraschenko and other betrayers. The betrayers embezzled money and hid it on accounts abroad. The foreign accounts accumulated the sums with 20 or 30 nils. Naturally, these resources are under control of those central banks whose banks possess them. The US Federal Reserve System did not lose control over the thieves who had previously become oligarchs. Now these thieves hold the positions in the central banks and obey their commands. Since the children of Russian high-level and medium-level public officials left the Russian Federation, became immigrants and serve to the interest of our political and military rivals, the control of the central banks over the resources stolen by their families represents a perfect tool of holding down the thieves. When a child lives abroad, their parents-principals are doomed to become foreign special-service agents. By their hands the enemy countries annihilate the Russian population. It is obvious that the top state officials of the Russian Federation sabotage openly their job. There is only thing that they do really well – the loot the state finances and transfer them into foreign companies under control of their children abroad the Russian Federation. We have discovered that the Central Bank of the Russian Federation has no juridical relation to the Government of the Russian Federation. And the recent series of scandals connected with reject of the Central Bank of the Russian Federation to present its report to the State Duma members (the Parliament required Elvira Nabiullina to present the report). Elvira Nabiullina has recently turned down the requirements of the General Prosecutor’s Office of the Russian Federation as well. The President of Russia has no authority to control the Central Bank of the Russian Federation, too. The right to confirm and to approve is nothing to do with appointment but a political imitation of a decision. That is why today the Central Bank of the Russian Federation is carrying out both anti-presidential and anti-Russian policy. The bankers assert in the same breath that in a couple of years the efforts of the Central Bank of the Russian Federation will result in a complete depopulation of Russia with starvation and a civil war. Starting from 1st July 2017, due to the expiration of the Agreement between Tatarstan and the Russian Federation on delineation of authority (expired 11th July 2017), the central bank of the Russian Federation has lost it legal right on the debt issue upon the resources of the State Bank of the USSR (and the Russian Federation), which was transferred to Kazan in 1992 by Viktor Geraschenko and Ruslan Khasbulatov. Please, bear in mind that the Committee for State Security was officially located in Kazan until 2003. It was Viktor Geraschenko, who due to his friendship with Mintimer Shaymiev, offered in 1992 to Boris Yeltsin to transfer the USSR State Bank’s resources to Tatarstan governed by Shaymiev, in order to cover the facts of the USSR assets embezzlements. So it was done. All the assets of the USSR Savings Bank were transferred to Tatarstan and places in “Tan” bank, the affiliation of the State Bank of the USSR. Through this bank all the assets and savings of the Soviet people that had been kept in the Savings Bank of the USSR were afterwards embezzled and exported abroad. Viktor Geraschenko and his group exported to “Santander” bank, Spain, through “Tan” bank the total amount of 73 (seventy three) billion US dollars on 286 000 bank transfer orders. At present, the Central Bank of the Russian Federation headed by Elvira Nabiullina, officially lost access to the resources of the State Bank of the USSR, which had previously transferred its resources to Tatarstan. This resulted in actual bankruptcy of the Central Bank of the Russian Federation. Any emission of any debt including rubles made by the Chairman of the Central Bank of the Russian Federation Elvira Nabiullina and her subordinates is unlawful by its nature. That is why the Central Bank of the Russian Federation is forced to terminate the license of the large Russian banks and exist on accounts of their resources. All these last years the Central Bank of the Russian Federation in the person of its Chairman Elvira Nabiullina has been practicing banal financial raidership namely liquidation of the banks, termination of their license and embezzlement of their resources that many banks had kept since the Soviet Union collapse. One of the reasons of its raidership roots in the fact that the Central Bank of the Russian Federation possesses up to date only 1 800.000.000.000 (one trillion eight hundred billion) rubles when all resources that were exported abroad are in the possession of the USSR betrayers. Moreover, starting from 2016 the Central Bank of the Russian Federation administrated by Elvira Nabiullina has been registered in China. Igor Sechin and Viktor Geraschenko have become its new founders. All the active asset balance of the ex-State bank of the USSR was conveyed to the new address. The Central Bank of the Russian Federation with the residence on Neglinnaya Str., is nothing but a fiction and the position of its Chairman is a cover for Elvira Nabiullina who continues the banks looting and the Russian Federation destruction. Everybody observes the annihilation of the Russian banking system but nobody can perceive who and why annihilate them. Let us clarify the situation. There are some financial groups who play their roles on the international stage and share the World. Let us call them randomly. The emperor’s criminal German clan nick-named “The Romanovs - the Windsors - the Hohenzollerns etc”. Please, be aware that they are not family names but solely nick-names. The first were named after Romanov-city, the second – after Windsor-village. Similarly, in the 1990-ies bandits from Lyubertsy-town were called ‘lyuberetsky’ and those from Tambov were called ‘tambovsky’. Those Romanovs, Windsors and Hohenzollerns and their next generations had no relations to emperors or czars. They seized the power in different countries and thought up legendary stories having no coincidence with real events on the controlled territories. The Romanovs - the Windsors - the Hohenzollerns, being family-less ‘Germans’ from the pale of settlement started to bring to life their global Zion project in 1913. In frames of their Zion project they set up the unified court, the unified government together with unified currency – US dollar – and its servicing organisation, US Federal Reserve System. Due to a drastic development of America at those days, the aforementioned forces wanted to transform it into a new Paradise (as it is a literal translation of Near-Western word ‘amero’) and placed in the USA their printing press. The Romanovs brought here their embezzled Russian gold. Regardless the lost of the legal rights on the USSR resources, V.Geraschenko, S.Ivanov and E.Nabiullina go on using the USSR resources (asset A144 in Deutschebank), transferring the USSR resources into ‘their new Federal Reserve System’ with help of false or counterfeit documents, deals and individuals along the line ‘the Bank of Russia-the Savings Bank of the Russian Federation – Mosnarbank- US FRS’. For example, the attempt to embezzle the resources of ‘Gold pistols’ totaling 44 (forty four) trillions of US dollars was the transfer of the total asset A144 from Deutschebank to the USA. The Rothschilds as cofounders of the Central Bank of the Russian Federation transferred to the balance of US Federal Reserve System their debts totaling 182 (one hundred eighty two) trillion US dollars so that the Central Bank of the Russian Federation, the Russian Federation and the USSR people became responsible for their debts. This debt was added to the existing 140 (809,6!) quadrillion that had been previously charged on the Russian Federation during Boris Yeltsin’s presidency and his idea of the RSFSR sovereignty and due to different directives for a legal succession and responsibility for the RSFSR debts of 1918-1922. The Rothschilds keep under their control all central banks worldwide except Syria, Iran, Vietnam and Cuba. Their stocks in the National Bank of Belorussia constitute 54%, they partially control the Central Bank of Venezuela. All this iniquity happens in a real world of geopolitics. In the USSR before the state monopoly on the banking activity in 1932, there were joint-stock banks and banks with private, collective or workmen’s cooperative capital. On 18th August 1922 with aid of the Soviet Government a ‘Bolshevist banker’ Ashberg established and headed the “Russian Commercial Bank”, with Svenska Economibolaget as cofounder, Mr. Max May, Vice-President of Morgan Bank Guaranty Trust, as the head of the foreign department, Earl Grey, former colleague of Cecil Rhodes, as a London agent. Presently we know this bank under the name of “Vnesheconombank”, headed for many years by Viktor Geraschenko! In Ukraine the Ukrainian financial balance that had been previously put on the balance of the State bank of the USSR, was secretly driven to bankruptcy and closed simultaneously with Arseny Yatsenuk’s government dismissal and “Ukrainian commonwealth” of 1191-2017 was liquidated. Its territory and population have become responsible for all debts including the USA state debt and other USA debts. Ex-Minister of finances of Ukraine Natalia Yaresko made this step as a manager of the state debt of Ukraine and the USA. It was done after the Queen Elizabeth II drove to bankruptcy the Free Associated State of Puerto Rico on 3-5 May 2017 which was the state of Jesuit trade company registration under the name of the United States of America administrating the USA territory and financial resources of many hundreds of trillions of dollars. From now on the territory of Ukraine, instead of ‘independent Ukraine’ declared by Leonid Kravchuk, belongs to so exiting from 1917 “Ukrainian People’s Republic”, which constitutes the united balance and aids to hold together the integrated commonwealth with Poland according to the clauses of Agreement of 1920. All the ideological and political components are being adjusted to this idea. A new state of Khazaria – New Israel is being planned on the territory except ‘Great Poland’ and in the Crimea. Up to the date Ukraine did not recognize the exclusive rights of Russia on the USSR heritage, assets and rights. Viktor Geraschenko, assuming the position of the USSR State bank illegally withdrew all money from the accounts of the Savings Bank of Ukraine (Oschadny Bank of Ukraine). Now the Government of Ukraine (Ukrainian People’s Republic) and later of secretly founded ‘Great Poland’ will receive the right of eliminating A144 resources. On her position of Prime-Minister of Ukraine Yulia Timoshenko authorized payments to the population of Ukraine of deposits in the Savings Bank of the Ukrainian Soviet Socialistic Republic (the USSR Soyuz Republic), literally having conformed Ukraine’s special rights for the USSR financial resources. The aforementioned actions have been thoroughly plotted and realized by Zionists (Hasideans, Ashkenazi, Sephardi, Sabbataists) and Vatican (Jesuits and Opus Dei). These actions are forwarded to break the Brits’ plans and ‘Richard Gravett’s testament will of 30.10.2006 according to which Vatican shall be eliminated and all money of the World should be distributed among the USSR citizens (85%) and Queen Elizabeth II (15%) so that they were able to establish a new world finance system. At present the Carpathian Rusyns with their leader Petro Getsko who is promoting the idea of the Ukrainian Soviet Socialist Republic, block up this Polish-Zionist-Jesuit madness, do trolling of Vatican and provide an actual freedom of manoeuvre for Vladimir Putin and the Kremlin all over Europe. The Central Bank of the Russian Federation is a founder of the People’s Bank of China. Mao Tse-Tung himself deposited 750 (seven hundred fifty) million of US dollars in Soviet currency into its registered capital and established the People’s Bank of China. A few knew about this. Perhaps these details will drive people to restore the USSR’s validity and subject rights. All the aforementioned can be proved by the expected collapse of US dollar as a key reserve currency, dividing of the World into currency zones, sanction lists completed by the US State Department (from 02.02.2018) for at least 293 (two hundred ninety three) biggest Russian companies and banks including their branches abroad and at least 282 (two hundred eighty two) officials of the Establishment of the Russian Federation and individuals close to Vladimir Putin and members of Viktor Yanukovich and Nikolay Azarov’s team, together with representatives of Lugansk and Donetsk People’s Republics jointly with the lest verdicts of the International Criminal Court ICCt regarding the Russian Federation’s responsibility for its war aggression in Ukraine. European trials for YUKOS case, scandals, ‘separatists’ and ‘terrorists’ have the sole aim to distract out attention from restoring a sovereign country and to put us to slavery by tricky manipulations with documents, rights and dates. The Central Bank of the Russian Federation with its mega-regulating status of the Russian Federation appropriates on an unilateral basis different rights on administrating the financial market of the Russian Federation. Nobody loves competitors. Everybody tried to get rid of them and the competitive battle methods are constantly improving. In case of a competition between equal structures, they may put an agreement and share the market. If one of competitors represents a structure with its own laws and clauses of the Constitution, we can forget about an honest competition and a competition as so. Let us describe the real activity of the Central Bank of the Russian Federation on a particular example. “MIR`” commercial joint-stock bank was founded in 1994. It was an ordinary bank with regular operations similar to hundreds others in the Russian Federation. It was operating and developing in a great pool of other banks offering to its clients to issue credit cards, open the deposits and internet banking service. “MIR`” commercial JSB had its highs and lows as any commercial enterprise. For the term of its existence “MIR`” commercial joint-stock bank developed some programmes for comfortable client servicing, modernized its activity in the financial field and designed brand-new ATM. All over the world the companies try to maintain their operational modernisation as a factor for successful business activity. But this is not a case in the Russian Federation and especially not in the Central Bank of the Russian Federation. With its status of a mega-regulator of the financial market of the Russian Federation, the Central Bank of the Russian Federation issued its own instructions personally for every credit organization, in which it may allow or forbid anything to anyone. The Central Bank may, for example, infringe its own instruction at its discretion and bear no responsibility. The Central Bank of the Russian Federation prefers to dispose of other banks’ financial flows in order to account and distribute them. The legal activity of banks with correspondent accounts ‘LORO’ and ‘NOSTRO’ constitutes its main disappointment. They are types of correspondent accounts that the banks open for each other directly and independently from the Bank of Russia’s policy. Financial flows that circulate within these accounts inside the financial system of the Russian Federation, stay beyond the control of the Central Bank of the Russian Federation. That is why it tries to set hindrances to other credit organizations of the Russian Federation due to its right to forbid them to open ‘LORO’ and “NOSTRO’ accounts. It was the case of aforementioned “MIR`” commercial joint-stock bank. The Central Bank of the Russian Federation started to systematically interfere in its operations with heaps of instructions and directives. Surprisingly but for the termination of the banks’ license the Central Bank of the Russian Federation does not loath to issue ungrounded instructions (change a door inscription or alter the inner regulation). Two ungrounded instructions gave it a reason to terminate the license of a bank in disfavor. These are the methods that the Central Bank of the Russian Federation openly applies all over Russia. During the term of its activity “MIR`” commercial joint-stock bank acquired some problem assets. It is not possible to go without. They serve as a ballast and at the same time as a factor of a real activity of a large credit organization. The main task here is to strike a balance in order not to strange the own business. Excessively clean and clear structures always raise suspicions from different organs of outer control. “MIR`” commercial joint-stock bank found an investor for mutual projects. It was well-knows Fund for social and economic development of regions “Treasury of the Creator RA”. Nothing seemed to be wrong. On Thursday 15.12.2016 “MIR`” commercial joint-stock bank announces to the Central Bank of the Russian Federation about its new investor and that it has prepared all the paperwork for the problem asset buyout and bank clearance for its further activity normalization. On 16th December 2016 the investor (“Treasury of the Creator RA” Fund) transfers 30 (thirty) million of euro of its own resources into “MIR`” commercial joint-stock bank and in this way it buys all the problem assets and at the same time it invests into the bank’s further activity normalization. As a result, the bank gets the possibility to develop its further activity, financial freedom with absence of debts. However, on Monday 19.12.2016 the Central Bank of the Russian Federation in a view of embezzling assets of “MIR`” commercial JSB, violates the laws of the Russian Federation and its own instructions and issues a directive to terminate license for a banking activity of “MIR`” commercial JSB. It the same time a supervising team of the Central bank of the Russian Federation arrives in “MIR`” commercial joint-stock bank. According to the existing rules the Central Bank of the Russian Federation had no lawful rights to terminate the license of “MIR`” commercial JSB as of 19.12.2016. The termination of the bank license requires some procedures as to convene a team for a temporary administration, to sign corresponding orders and other documents. It happened at the very morning on Monday. It means that the corresponding order had been made in advance and the special team was ready to execute the order. The situation clearly highlights the system tactics of the Central Bank of the Russian Federation directed to cause harm to the economy of the Russian Federation. Curiously enough that the legislation of the Russian Federation does not provide the mechanism to reinstitute the preliminary terminated license. We have no such mechanism. The only further step that follows the termination is the liquidation itself of the organization. And the Central Bank of the Russian Federation as a mega-regulator uses this trump card for bullying all Russian banks. You may become familiar with the job of the ‘elite force unit’ of the Central bank of Russian Federation in the site of “MIR`” commercial JSB. With the order no OD-4614 from 19.12.2016 the Central Bank of the Russian Federation terminates the license for a banking activity of a credit organization “MIR`” Commercial Joint-Stock Bank (Joint-Stock Company) “MIR`” Commercial JSB (JSC) (reg. no 3089, Moscow-city) starting from 19.12.2016. With this regard and in accordance to point 2 article 189.26 of the Federal Law “On inability (bankruptcy)” the Central bank of the Russian Federation with its order no OD-4615 from 19.12.2016 appoints a temporary administration of the credit organisation “MIR`” commercial JSB (SSC) starting from 19.12.2016. Sergey Maslov, officer of the Central Bank of the Russian Federation is appointed a Head of the temporary administration. On the first day of his office as a Head of the temporary administration, Sergey Maslov jointly with his team rejected in a peremptory manner to return the purchased assets to the investor which contradicts to the law. Maslov’s team also tried to embezzle the aforementioned sum totaling 30 (thirty) million of euro by transferring it into accounts of the Central Bank of the Russian Federation. Speaking the language of the legislation it is called ‘embezzlement on an especially large scale’. Their attempt failed, especially thanks to the fact that the aforementioned resources had not been placed in the bank itself but on the correspondent account in another bank whose manager prevented the fraud. Now, let us make some conclusions. First, the central bank of the Russian Federation freely and openly infringes the laws and ruins a healthy competition among the credit organizations and thus, damages the economy of the Russian Federation by its destructive methods instead of sensible regulation. Second, the Central Bank of the Russian Federation do not hide its direct and present intimidation, raidership and embezzlement of financial assets of the banks under liquidation, robbing the citizens and organisations who had depended on the reorganized bank. All the aforementioned schemes point out to a system work forwarded to financial resources looting for its own benefit. Third, the criminal officials of the Central Bank of the Russian Federation block completely economic policy of investment attractiveness of the Russian Federation introduced by President of Russia Vladimir Putin. Under those circumstances the only legal way to fight against the Central Bank’s voluntarism from the investor’s side, from “MIR`” commercial JSB and from investment society is filing petitions to law-enforcement authorities about the actions of officers of the Central Bank of the Russian Federation and their criminal activity. The urgent measures from Head of the State, the Constitution guarantor Vladimir Putin are required to stop their illegal activity as soon as possible. The investor of “MIR`” commercial joint-stock bank legally sued the Central Bank of the Russian Federation in the Court of Arbitration for obviously illegal license termination (without decision of the Committee for banking control). The Court of Arbitration of the first and second instance after taking under consideration the legal claim of “MIR`” commercial joint-stock bank, decided to keep away from the regulator and under pressure of the principals of the Central Bank of the Russian Federation declined the claim. The courts in their verdicts failed to mention the grounds of the claim dismissal with the main complainant’s reasons against the license termination and pretended to overlook the essential body of the claim. Such court decision would surprise anyone unless it showed many times repeated postulate about the Bank of the Russian Federation – the Central Bank of the Russian Federation is not by any means a body of state power and is not subordinate to the Government of the Russian Federation and the laws of the Russian Federation. A similar situation occurred to “Interregional Scientific and Technical Complex “Labour” Ltd.”. For 9 years the Central Bank of the Russian Federation has illegally withheld 157 (one hundred and fifty seven) millions of euro belonging to this organization, and it has blocked its financial and economic operations. Their appeals to many institutions as well as to the President of the Russian Federation have brought no results. In March of the current year the Central Bank of the Russian Federation in person of Elvira Nabiullina re-launched the massive currency emission in order to use hundreds of millions of dollars to plug up numerous ‘holes’ in Russian banking system which was about to sink after collapse and nationalization of three out of five biggest private banks. Over the course of a month “Rost-bank” received from the Central Bank of the Russian Federation a financial injection of 780 (seven hundred eighty) billion rubles. From 2014 “BIN-Bank” had been responsible for its resolution and had received a credit at preferential rate from the Deposit Insurance Agency but eventually did not cope with the load of bad assets and as a result, in September together with “Rost-bank” it recourse to the Consolidation Fund of the Russian Federation. Next, 372 (three hundred seventy two) billion rubles were transferred to “Trust” bank that had been under resolution with “Otkrytie” Financial Corporation, and that made a breach of 456 (four hundred fifty six) billion rubles. The received resources were supposed to help “Trust” bank and “Rost-bank” return to their turn-around administrators credits of 290 (two hundred ninety) and 272 (two hundred seventy two) billion rubles correspondingly. The later, in their turn, paid off their debts to the Central Bank of the Russian Federation. As it appears from the data provided by rating agency Fitch in its monthly banking sector rates, direct emission of the Central Bank of the Russian Federation for maintaining the banking system composed 512 (five hundred twelve) billion rubles per a month, bearing in mind that both banks which received the money of the Central Bank of the Russian Federation, for the first quarter of the year had represented breaches of 167 (one hundred sixty seven) (“Trust” bank) and 413 (four hundred thirteen)(“Rost-bank”) billion rubles correspondingly. Further deposits of the Central Bank of the Russian Federation have a high risk to turn into its next substantial losses, Fitch agency warns. The previous year brought to the Central Bank of the Russian Federation record-breaking losses for all its history – 435 (four hundred thirty five) billion rubles and 400 (four hundred) billion rubles out of them were spent on asset devaluation. All state injections into the banking sector in March reached 916 (nine hundred sixteen) billion rubles, as estimated by Fitch. Beyond the Central Bank of the Russian Federation, the federal budget and regions placed onto accounts 243 (two hundred and forty three) billion rubles and the Ministry of finances of the Russian Federation added 188 (one hundred eighty eight) billion rubles. The biggest beneficiary of the state resources has become “Vneshtorgbank” group: the second state bank of the country received 132 (one hundred and thirty two) billion rubles in midmission of the Ministry of finances of the Russian Federation and it received another 47 (forty seven) billion rubles from regional budgets. “Gazprombank” received 124 (one hundred and twenty four) billion of budget rubles and 34 (thirty four) billion rubles from some government institutions. “Rosselkhozbank” bit off 77 (seventy seven) billion rubles from the Ministry of finances of the Russian Federation and 24 (twenty four) billion rubles from regional budgets of the Russian Federation. The total volume of state financing of the banking system (excluding financial aid to problem banks from the Central Bank of the Russian Federation) has reached 3 500.000.000.000 (three trillion five hundred billion) rubles, states Fitch. “Vneshtorgbank” remains the main beneficiary with its 2 (two) trillion rubles or 18% of its liabilities. “Gazprombank” and “Rosselkhozbank” mostly shared the rest of money (800 billion rubles and 500 billion rubles correspondingly). Following the will of their foreign bosses, G.Gref & E.Nabiullina tandem acts in interests of the USA and Great Britain. Namely, the Savings Bank of the Russian Federation (Sberbank of Russia) according to the results of its activity in 2017, which was basically due to a total clean-up of the country’s financial sector by the Central Bank of the Russian Federation and annihilated competition in the national financial market, will pay record dividends to its stockholders, with over 1 (one) billion US dollars to its non-resident stockholders. Financial speculators of all shapes give a standing ovation to Gref & Nabiullina tandem. When the governmental share in the country’s financial sector reached 70% (50% for Sberbank of Russia) and the private depositors with their cash liquidity rushed to so-called ‘state-banks’, Sberbank of Russia as the major beneficiary of the ‘sanitation policy’ according to the results of the previous year (according to a decision of a Supervising Council of the credit organization) will pay off dividends of 271 (two hundred seventy one) billion rubles. The half of this sum will be devoted to the Central Bank of the Russian Federation headed by E.Nabiullina, as a stockholder with the control share, and the second half will be handed over to minor non-resident shareholders. The dividends will constitute 36,2% of Sberbank of Russia’s net profit (according to International standards of financial accountability), which in 2017 grew up on 38% and reached 748 700.000.000 (seven hundred forty eight billion seven hundred million) rubles. During three following years Sberbank of Russia is planning to increase its net profit share payable to its stockholders up to 50%. At the end of the previous year Sberbank of Russia presented its development strategy until 2020, where the bank’s net profit must increase up to 1 (one) trillion rubles. Indeed, the Central Bank of the Russian Federation holds the control stock of Sberbank of Russia – 50% + 1 share. This fact has already caused an unprecedented conflict of interests. The Central Bank of the Russian Federation is a mega-regulator of the national financial market that must be interested in competition, demonopolization and creating conditions preventing the birth of oligopolies. However, it reveals to be the shareholder of the major ‘state ‘bank in the country with interests in increasing its net profit together with dividend payment growth and creation of ‘hothouse’ conditions for its controlled bank. Apparently, Elvira Nabiullina’s team has been playing since long for Sberbank of Russia being under their control. Professional players of the market openly claim that the policy of the Central Bank of the Russian Federation directed to the ‘banking sector sanitation’ is a policy in favour of five banks where the bulk belongs to Sberbank of Russia. Whereas for the expert society and the market banking sphere the topic ‘conflict of interests’ stays a dominant one, neither the Government, the Parliament, the Federal Anti-Monopoly Service nor the Auditing Chamber show no interest in the subject in question. They all pretend that there is no ‘conflict of interests’. This loss-prone policy has already led to a massive customer and liquidity outflow and to a final ‘freezing’ of status-quo which wiped up completely the margins between state and private beneficiaries’ interests. Indeed, the share of American investors in ‘free’ Sberbank of Russia stocks that are being traded in the stock market has reached 40%. British financial tycoons possess 29,5% stocks of Sberbank of Russia. Let us sum it up: nearly 70% ‘free’ Sberbank of Russia stocks belong to Americans and British who menace the Russian Federation with new set of sanctions daily. It becomes obvious in whose interests the ‘Elvira’ hurricane stormed and is still storming. The main beneficiaries are the financial speculators from the USA and Great Britain. According to the results of the past year they will receive at least 1 (one) billion US dollars from Sberbank of Russia. Sberbank of Russia’s annual account analysis shows that the payments in 2017 have hit their record level. Consequently, the Central Bank of the Russian Federation, as its main stockholder, together with non-residents from the USA and Great Britain will receive unprecedented income that was basically provided by E.Nabiullina’s “hothouse’ crony conditions. None of other national financial market professionals has or will have such favourable conditions as those of Sberbank of Russia. Let us go on talking about non-residents, holding the controlling block of ‘free’ stocks. It has been recently revealed that the top management of Sberbank of Russia had carried on a correspondence with the White House administration through its lobbyist in the USA. It becomes clear from this correspondence that the largest bank of the Russian Federation headed by G. Gref is ready to realize any wish of the West and to give in everything if only it did not lose the status of an ‘insider’ bank. German Gref had forgotten about the dignity and the interests of the Russian Federation a while ago. Cash, net profit increase that is shared in a crony way with external owners of Sberbank of Russia stocks – all those constitutes the main drivers of his behavior. To betray the financial and national sovereignty of the country is a fundamental principle of the top management of the credit organization. Sberbank of Russia does not only forward gigantic resources to the USA for lobbying its interests but also ingratiates with their officials who nevertheless are preparing new sets of anti-Russian sanctions. German Gref through his personal representative is engaged into an active correspondence with the Assistant Secretary of State on Eurasia affairs. G. Gref spends yearly millions of dollars for lobbying of his interests in the capital of the USA. The leading lobbyists of Podesta Group and Madison Group serve to the interests of Sberbank of Russia. They keep working with senators and congressmen serving to the interests of those who are ready to sacrifice the national Russian sovereignty and to grovel before the institutions menacing to ‘tear into pieces the Russian economy’. Consequently, the largest ‘state’ bank of the Russian Federation in reality does not belong to our country. De jure it is controlled by the Central Bank of the Russian Federation but de facto it has got under control of overseas supervisors a while ago. That is why no wonder that in the near future the Russian Federation will pay off to American and British financial speculators over 1 (one) billion US dollars, which used to belong to our citizens but due to Elvira Nabiullina’s policy were taken from the creditors via their license termination. Before the Central Bank of the Russian Federation headed by Elvira Nabiullina started the resource embezzlement policy, practically every Ministry had developed their own network of crony banks that served as laundry for budget resource bribes and helped to transport them to off-shores through foreign exchange trading rooms. It served the ground for a comprador elite consensus in the Russian Federation. The elites received their piece of business, the officials got integrated into these businesses, with false tenders introduced them into government orders then got their bribes, transferred these resources abroad and immediately got into criminal records of foreign intelligence services. They had become the ‘fifth column’ that nobody can defeat, even Vladimir Putin himself. Our intelligence service filed loads of compromising information on every of them, but the system that had been built in the course of these years does not allow nothing but spot measures like an apprehension of Minister of economic development Alexey Ulyukaev or some governor. The reason of the intensification of the fight against local corruption lies in the West, too: the Government introduces a policy of strict economy and class of regional thievish elites got into trouble with the law enforcement agencies. Unless the western sanctions, they would go on stealing from the budget. That is why President of Russia Vladimir Putin is being forced to make circles around the main country’s problem without a chance to resolve it directly. He is winning his regional fights – with help of the Central Bank of the Russian Federation he reduces the number of laundry banks, sends to jail some officials, removes from business operations some businessmen, fights at the external borders of the foreign policy and reduces the hordes of the thievish ‘elite’. The financial system of the Russian Federation is a confrontation core for our President. In its base lies the principle of private banking under supervision of quasi-state Central Bank of the Russian Federation. None of the changes in the political system, none of changes in the political landscape in the Parliament can affect the Central Bank of the Russian Federation and its policy. It is protected by the firewall of laws, and their violation makes any politician a legal outcast. In our financial model the Government bothers only about the budget. It is the point of concentration of the governmental priorities with the market-driven economy. The Ministry of finances, the Ministry of taxation of the Russian Federation, the Customs, the financial monitoring system and other institutions such as Federal Service for supervision in the sphere of communications, informational technologies and mass media (RosComNadzor) put their efforts to fill up the budget. Private business financial resources have no relation to the governmental policy. The currency exchange rooms and private banks set up the currency market. Its rate influences the credit interest of the Central Bank of the Russian Federation. It serves as a base for calculating deposit rates and credit interests of the private banks. The emission volume of the Central Bank of the Russian Federation strictly correlates to the mass export income. As much hard currency as many rubles. Any deviation from this rule immediately results in International Monetary Fund rate lowering which consequently leads to the rate lowering in Western banks. Some liberally oriented politicians who hold power and rule the economic processes in our country think that if there is a market of financial resources, there is no necessity to establish our own. If there is a market of goods, there is no need to develop our own. If there is a market of technologies, there is no use to set up our own. If there is a market of human resources there is no need to train our own. They believe that oil and gas profits will allow them to purchase everything they need. The liberal politicians call it ‘to take our place in a world division of labour’. It takes forms of the market for merchandising others’ goods and providing row materials for them. It makes our country a typical colony that works with others’ money on strangers’ rules. That is the reason why up to date we cannot see a consolidating ideology in the Russian Federation: the Russian Federation elites, as well as Ukrainian elites tend to live in Europe. The Ukrainian elites hate the Russian ones because they try to live in Europe themselves but do not allow the Ukrainian ones to do the same. This is where the conflict roots and not a mythical ‘Russophobia’. The system of life in the Russian Federation leads to the fact that the commercial capital vital for business stays beyond our Government preoccupation. The Government seems to create favourable conditions for foreigners and at the same time pushes the national entrepreneurs to the financial market where the foreigners hold the top positions. The Government’s main interest is the budget and ways to fill it up. This is the root of high taxes strangling our economy, several pension reforms, the government bond market for foreign speculators. These methods of filling up the state budget are selected in a way to make profits meet losses. The Russian Federation is vulnerable until the governing class supports private banks capable to export financial resources abroad via currency markets. The centerpoint of this activity if Moscow currency exchange that established the ruble exchange rate. Affecting the rate the West is able to make our credits unavailable. It will trigger a reaction of the Government that worries only about budget – and it will be a raise of fiscal pressure and a further concession to monopolists. It makes a domino effect. The currency exchange rate lowers the economic activity and releases the taxation pressure growth together with political tension. The West has nothing to do but step aside and watch how the bonfire gobbling the country is getting bigger – with their few twigs. The Central Bank of the Russian Federation – private banks – Moscow currency exchange: this is the chain if institutions that serves of conductors of menaces to the Russian Federation. Since they work in their present state, the Russian Federation finds itself in a tight place where the only solution is raise of taxes and the taxes raise inflation. A race for the money to the budget is similar to that one of the donkey for a carrot. When the tax raise kills the economy and government bonds become the final measure to rescue the budget, a catastrophe menaces a country. The Russian Federation should cut off as soon as possible all arteries connecting it with the vascular system of Western finances. The banking system shall not nationalize private banks. The state banks shall be taken away from the exchange market. The export and import operations settlements shall not be done on the exchange rate of the exchange market but of the State Bank. Credits cannot be any longer a mechanism of excess profits. The speculations of the exchange rate difference should be stopped. The exchange market shall be put under control of the State Bank. New political parties in the Parliament must be established, the Civil Code, the Criminal Code, the Law on banks and the banking and the Constitution of the Russian Federation as good as changed, and the new ideology explaining why all this is being done, as good as formulated. Let us remind you about some Khrushchev’s invention namely gas and oil export that nowadays serves as a base to the economy of the Russian Federation. At Stalin’s time there was no such a thing as hydrocarbons export. The ruble exchange rate was not being established at the exchange market but in the Kremlin. The special state exporters operated in the export field. All the hard currency filled the country’s treasury. There were no off-shores or off-shore aristocracy. Under Stalin’s office the USSR in just 12 years after the horrid war was the first to conquer space. Moreover, it canceled ration cards earlier than Britain or France. There was no ‘fifth column’ at those times. Presently, the US Federal System and the Central Bank of the Russian Federation headed by Elvira Nabiullina has blocked access to credits. It means that our own credit sources have to be discovered. The advanced technologies in extracting oil and gas have become unavailable. Thus, we should develop our own. In a few years the USA sanctions will affect the extraction volumes. It will unavoidably hit the budget and push the Government of the Russian Federation to the only possible reflectory reaction as of a new tax growth. By that time the USA will have lowered the production costs of liquid gas and it will have started to oust us from Europe, the golden dream of our elite. Thus, to cope with this situation we do not require liberal capitalist ministers but Stalin’s people’s commissars made of steel. In existing financial system, where the Russian Federation receives the monetary oxygen through Western arteries, our people have no chance to survive. We have to made a political decision. Rejecting of American bonds and introducing “Mir’ credit card payment system are not enough. They are nothing but first steps, similar to repulsing an assault in Brest fortress. We are too far from Berlin. We have to make a decision about our financial system. 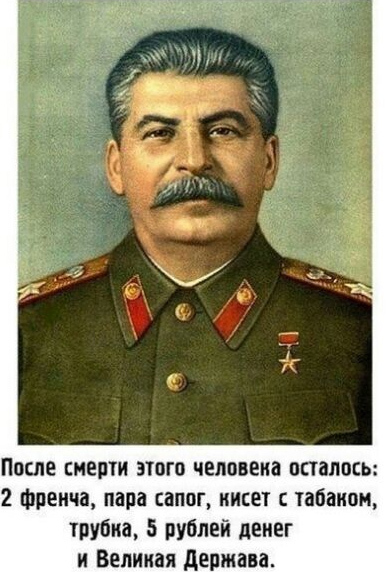 If during the World War II Stalin had not replaced the pool of generals, the USSR would have lost it. Until our financial system remains so as established in 1991 by its founders Boris Yeltsin, Anatoly Chubais, Egor Gaydar and Mikhail Khodorkovsky, we will keep the position of the country where Hitler’s fascists took up the outskirts of Moscow. The Russian Federation should be ready to a maximal financial isolation in order to survive in the newly-triggered war with the West and evidently take over Stalin’s financial system and Stalin’s economy. It should be taken into account that the Western officials, who own and administrate the Russian financial system by hands of E.Nabiullina and G.Gref, have established a refinancing rate of 10 or more per cent for the Russian Federation. It is easy to guess that the US Federal Reserve System does it deliberately to prevent the Russian economy from developing. That is why in 2012 V.Putin required that the Central Bank of the Russian Federation study the mechanisms of the US Federal Reserve System which could provide the Russian Federation with a zero refinancing rate. However, Elvira Nabiullina did not follow out President’s command. As a result in 2017-2018 financial years the Central Bank of the Russian Federation led us to the situation when the economic field is abundant with cadaver banks leaving behind instantly financially incapable millions of Russian citizens, havoc of Russian employers and (with the little magic from the Central Bank of the Russian Federation) newly hatched Israeli, French, American and other millionaires. Now the experts who yesterday backed up the Central Bank of the Russian Federation are claiming in the same breath that the consolidated ‘breach’ in Russian banks balance whose license has been terminated by the Central Bank of the Russian Federation starting from 2017 is estimated 500 (five hundred) billion rubles. From the very beginning of the bank clearance of Elvira Nabiullina in the banking system the ‘breach’ size has reached at least 2 (two) trillion rubles. These data were published by “Expert RA” rating agency. It is worth mentioning that in September 2016 M.Sukhov who at that time assumed the position of Vice Chairman of the Central Bank of the Russian Federation, estimated the total ‘breach’ size in balance of banks deprived of the license as equal to 1 100.000.000.000 (one trillion one hundred billion) rubles. From the beginning of 2017 the licenses of next 38 (thirty eight) banks have been terminated and the Central Bank of the Russian Federation announced that their cumulative ‘breach’ constitutes 220 (two hundred twenty) billion rubles. Nevertheless, the analytics provides some bigger data – up to 500 (five hundred) billion rubles. The total volume of payments for the deposit compensation and for bank resolution corresponds to the mentioned ‘breach’ size. In 2016 the volume of insurance payments overpassed 530 (five hundred thirty) billion rubles. Last year the Central Bank of the Russian Federation annihilated “Intercommetz’ bank (64 300.000.000 (sixty four billion three hundred million) rubles), “Rosinterbank’ (49 200.000.000 (forty nine billion two hundred million) rubles) and “Vneshprombank” (45 000.000.000 (forty five billion) rubles). The record ‘breach’ was caused by “Vreshprombank – over 210 000.000.000 (twenty ten billion) rubles. “Tatfundbank” ’s ‘breach’ is a bit more modest - over 118 (one hundred eighteen) billion rubles. “Trust” bank took away over 75 (seventy five) billion rubles on 1st July 2016. According to the accountability of the Central Bank of the Russian Federation, the record negative capital was found in “Mosoblbank” – over 121 (one hundred twenty one) billion rubles on 1st August 2016. In total till the end of 2016 the Agency for Deposit Insurance had provided for the purposes of bank resolution over 1 500.000.000.000 (one trillion five hundred billion) rubles of a cumulative total. The punitive operation against Russian banking sector was unleashed immediately after Elvira Nabiullina assumed the position of the Chairman of the Central Bank of the Russian Federation in 2013. She transformed into a real maniac in her quest to eliminate excessive players who had become so due to someone’s special order. So far, the Central Bank of the Russian Federation administrated by the US Federal Reserve System has destroyed 300 credit institutions on the territory of the Russian Federation. The Romans state that while investigating a crime we should look for those who will benefit. There is no need to have a guess for long. As a result of aforementioned actions from the Central Bank of the Russian Federation, a small group of financial companies took under control over 70% of the banking market of the Russian Federation. Analysts remark that E.Nabiullina regularly starts monetary emission in interests of those who ruin the Russian financial market. The Central Bank of the Russian Federation principally and demonstratively kills the most influential banks such as “Yugra’. The experts started speaking about the evident institute of overthrow of power and the appearance of new “Seven Banker’s Cabal” which uses E.Nabiullina to establish in Russia their authority. Their aim is a control over the monetary emission. Their H hour namely the bankers’ riot will be in 2024 and their victim will be the new Kremlin master. In our opinion, these gentlemen will not wait so long until the state rebellion. Let’s recall 1996. The British edition of ‘Financial Times’ Boris Berezovsky announced Zion’s attempt to take under total control the power in the Russian Federation. He mentioned his accomplices’ names – Vladimir Potanin (Onexim bank), Vladimir Gusinsky (Most-bank), Mikhail Khodorkovski (Menatep), Piotr Aven (Alpha-bank), Mikhail Fridman (Alpha-bank), Alexandr Smolensky (SBS-Agro) and Boris Berezovski himself (United bank). Four of them are criminals. One was killed, another was sent to prison, and two fled from Russian justice to the centre of the World Criminality – in Israel. To take under control the financial system of the Russian Federation was initially a Zionist project. The Central Bank of the Russian Federation is this project plays the role of the first violin and the punishing sword at the same time. It is indirectly proven by the fact that on 25th July 1996 the Central Bank of the Russian Federation established a special operational department on administrating big and socially important banks (OPERU-2). By 1998 the power in the Russian Federation had been completely taken by the Zionist oligarchs. Under cover of the President’s commands fulfilling Elvira Nabiullina literally robs the owners from their money, although the President did not commissioned the Head of the Central Bank of the Russian Federation to destroy the economy of the Russian Federation and to bright the country’s citizen to a total poverty. Her institution transgressed all the limits of permissibility a while ago. The representatives of the Central Bank of the Russian Federation and its departments treat the banks worse than fascists. Some experts think that one of these days we will witness the physical punishment over the most odious officers of the Central Bank of the Russian Federation. In their behavior they show some criminal treats – they have embezzled the money of people who did not deserve to be treated this way. These officers cannot any longer resort to the protection of their ‘identity cards’. Another indirect proof of the experts’ opinion gives the fact of escape from the country of Vasily Pozdyshev, one of Elvira Nabiullina’s Vices. He was responsible for “Yugra” liquidation together with some other banks. After having liquidated it successfully he escaped to France. Now “Yugra” is processing a lawsuit while Vasily Pozdyshev was let off to flee to France. Another direct proof of Zionist plot presents the fact that Vasily Pozdyshev has a French passport, in other words one of the Central Bank of the Russian Federation principals was a French citizen – a citizen of the enemy state to the Russian Federation. Another Elvira Nabiullina’s Vice-Chairman has a USA residence permit. There he possesses a wide weapon trading business and after being questioned in the Investigation Committee he was about to quit our country but after he put off this intention. What for? Perhaps his overseas managers are better informed. A monopolistic control over the financial flows of the Russian Federation is the high treason. The main aspect here is how much will be cleaned by the ‘erasers’ of the Central Bank of the Russian Federation during their cleaning job. They kill the Russian Federation’s economy. It has nothing to do with particular enterprises but the Central Bank of the Russian Federation ruins the Russian federation totally and completely. It strikes the key elements of the market. The cleaning job of the Central Bank of the Russian Federation poisons our country’s alive organism. However, the Central Bank of the Russian Federation does not pursue the aim to create new Seven Bankers’ Cabal. The Central Bank of the Russian Federation kills the country with purpose of its further cutting up and distributing among its merited owners from the tribes of Israel, France, America. On the eve of the elections the Central Bank of the Russian Federation plays the political will regulatory role. The license termination and annihilation of another bank result in millions of people pauperization. Their savings vaporize, their enterprises go broke, people become unemployed. The Central Bank of the Russian Federation has not got transformed into a protecting mechanism for banks but for all electorate Vladimir Putin counts on. It is difficult to find such an accomplished assassin than the Central Bank of the Russian Federation. It is enough to destroy the Russian Federation, the present President and the majority of the population altogether – to exterminate all the robbed and deceived citizen of the Russian Federation in flames of a bonfire of regulatory heated civil war. The Central Bank of the Russian Federation administrated by the US Federal Reserve System put its efforts to rule the World and to nationalize the country’s economy. It has not been long that FT edition published an article stating the following: “now the leading central banks possess the one fifth of the total debt of their countries’ governments”. Under zero recession or crisis the main central banks buy out governmental and private debts of 200 billion US dollars per month and the main players here are the European and Japanese Central Banks. The balances of the European and the Japanese Central Banks overpass 35% and 70% correspondingly of their countries’ gross domestic products. The Bank of Japan holds place in top ten main stockholders of 90% of Nikkei index companies. The European Central Bank possesses 9,2% of corporate bond market and over 10% of leasing European countries sovereign debt. The Bank of England possesses 25% to 30% of Great Britain sovereign debt. In his recent report Nick Smith, a CLSA analyst, warned us against that he called “after-market nationalization”. The Bank of Japan with its ultra-expansionist policy may in the prompt future become the largest stockholder of the biggest Nikkei 225 index companies. Up to date, the Central Bank of Japan possesses 60% of ETF market (market index funds) in Japan. The Central Bank increases imbalance in economy and leads it to a ‘zombification’ since extremely soft policy results in money circulation slowing down, and moreover it stimulates the debt accumulation and bears inefficient investments. Our beliefs that such a policy is harmless since it means ‘no inflation’ and a low unemployment are very perilous. The Government emits a large-scale debt volumes and cheap money that create excessive facilities and become applied inefficiently. As a result the productive volumes go down, together with the wages, currency purchasing power and the debt go on growing faster than the real gross domestic product. That is why according to Bank for International Settlements data the total debt has reached 325% of the gross domestic product, while zombie-companies’ credits have touched before-crisis levels. The commitments emitted by the Government and monetized by the Central Bank do not represent first-class assets. They are nothing but the debt that will pass to shoulders of the next generation and which can be paid off in three ways: a vast inflation, a series of financial crises or mass unemployment. The destruction of the currency purchasing capacity is not a policy directed to an economic growth but the theft from the future generations. It favours income growth fertilized by the debt. When the gross domestic product, the labour productivity and the real present incomes do not grow, at least equally to the growth of the debt pressure, we create a time bomb of economic imbalances which puffs up and will definitely blast one day. The fact that the risk can be put off till the next year does not mean there is no risk at all. Thus, the Government does not emit ‘productive money’ but it emits promises of higher profits from higher taxes, higher prices and wealth confiscation in future. The monetary offer growth is a loan that the Government takes out but we, people, pay it off. The payment takes forms of destruction of monetary purchasing power and the wealth confiscation via devaluation and inflation. “Wealth’ effect in stocks and bonds is not available to the great part of the citizens because 90% of ordinary households place their savings on deposits. In fact the large-scale debt monetization is nothing more but another way of replacing of a private debt to a public debt. De facto this is the nationalization. Since the Central Bank of the Russian Federation cannot be declared bankrupt, it hands over all financial imbalances to private banks, businesses and households. The Central Bank of the Russian Federation may print out as many notes as it desires, and the Government will benefit out of it, but the rest of us will bear the pressure of financial repressions. No doubt that the Governments of the countries membering in the Organisation for Economic Cooperation and Development are now spending some 40% of inner gross domestic product and their fiscal pressure has reached the record levels as well as the sovereign debts have hit the top. Monetization is the ideal system to nationalize economy where all risks of excessive governmental expenses and economical imbalances fall on the shoulders of the taxpayers. It always has a bad end because two and two is not twenty two. If we levy taxes on the productive sector to sponsor the non-productive part of the economy, our issue will be the lowering down exponential curve of the currency purchasing capacity and corresponding vanishing of the wealth. If you believe that this time everything will be different and the governments will spend the enormous sums of ‘very expensive free-of-charge money’ wisely, you deceive yourself. The governments long to spend more because their goal is to maximize the budget and inflate the bureaucracy which personifies their instrument of power. The governments also tend to make guilty external enemies. The governments always make guilty someone else. Who brought down interest rates from 10% to 1%? The Government and the Central Bank of the Russian Federation. Who is responsible for ‘excessive risks’ of the Government when the crisis bursts out? The population. Who increases the monetary offer, favours ‘credit flows’ and executes financial repressions because of ‘too high level of savings’? The governments and the central banks. Who is guilty when everything falls into the black hole? The population again. Of cause, the governments can print out as much money as they want, but they cannot assure anybody this money has any price and it is a real price because the government itself said that. Hence we have the real investments recession and the labour productivity decrease. Citizens and the enterprises are not crazy. They do not get entrapped with low per cent rates and high assets inflation. They have not got an amnesia. The financial repressions of the Central Bank of the Russian Federation did not receive their name for nothing. The citizens will always try to secure their savings from being stolen. The stock markets are growing, the bond market is lowering and the population is starting to believe that the asset inflation reflexes the power of economy. Then, when the central banks’ policy stops working either because of lack of confidence or because of the liquidity problems, and the markets collapse to the valuation levels, which they actually deserve, many say some mythic ‘speculators’ are guilty for that and not thieves from the Central Bank of the Russian Federation and the Central Bank’s speculators. When it all happens, you may be certain to make you stake on the fact that the markets, lack of regulation and unsatisfactory interventions will be called main culprits. The intervention mistakes of the recent years ‘are being rectified’ with ampler interventions. And at the same time the promised and widely promoted structure reforms are vaporizing like unpleasant memories. The present Central Bank of the Russian Federation headed by Elvira Nabiullina kills the free markets and brings enormous advantages to governments and oligarchs providing them with the most unfair competition benefits; unlimited access to money and credits with a complete absence of all risks that eventually fall on the shoulders of all other economic entities. Beside the Central Bank of the Russian Federation their destructive role in ruining the Russian Federation play the real possessors of Sberbank of Russia from the USA and Great Britain. Sberbank of Russia headed by German Gref, a member of JPMorgan Chase American Financial Holding Board of Directors, has only one Russian half when another half belongs to its American and British supervisors under special conditions. Sberbank of Russia Supervising Committee regular meeting took place in Moscow, and one of its key agenda item was a question about dividends pay-off. It is already known that during next three years Sberbank of Russia is intending to provide for this goal over 1 (one) trillion rubles, which in terms of the present exchange rate constitutes 17 500.000.000 (seventeen billion five hundred million) US dollars. This is a very consistent sum especially taking into account structures of joint-stock capitals and if we bother to find out to whom ‘Gref’s bank’ belongs in reality. It became clear that the share of America investors in Sberbank of Russia ‘free’ stocks traded on exchange markets had reached 40%. The British financial tycoons possess 29.5% of Sberbank of Russia stocks. Let us remind you that at present 47.52% of stocks of the Russian bank no.1 are freely circulating. The controlling stake belongs to the Central Bank of the Russian Federation. The subject in question has already let to an unprecedented conflict of interests – on one hand, the Central Bank of the Russian Federation is a mega-regulator of the national financial market and on the other hand it is a shareholder of the largest savings bank in the country. Instead of sanitation so fiercely promoted by E.Nabiullina, Russia received factual oligopolization of the banking sector. And again, we have to appeal to the question – who possesses Sberbank of Russia and in whose interests does it operate? As it was stated the Central Bank of the Russian Federation owns a half of the registered capital plus 1 voting stock of Sberbank of Russia. The non-residents possess 45.41% stocks, and 69.5% of them belong to American-British financial syndicate. We have not up to date known about the control sum that will be shared for dividends according to results 2017. But we know that Sberbank of Russia net profit, according to international financial reporting standards (IFRS) grew last year to 38.2% up to 748 700.000.000 (seven hundred forty eight billion seven hundred million) rubles against 541 900.000.000 (five hundred forty one billion nine hundred million) rubles the year before last one. The profit per a common stock during 2017 increased by 38.3% up to 34.58 rubles versus 25 rubles in 2016. Let us remind about the difference between a key interest rate of the Central Bank of the Russian Federation (7.5% per annum) and real rates on credits that Sberbank of Russia offers. Any loans start from 11.5%. Cash loans start from 12%. Interest rate of any consumer loan starts with 13.9%. Herewith, of a potential borrower wants to take out a loan, they must guarantee their solvency. We better not mention about the credits for real sector of economy. German Gref has repeatedly stated that the small and medium businesses representatives are fraudsters and swindlers. According to entrepreneurs and manufacturers, the real interest rate to raise loan (or working) capital starts from 15.5% and requires a very serious liability secured encumbrance (pawn). In his letters to the US State Department G. Gref stated that in the beginning of 2017 an Edisson Smith, G. Gref’s lobbyist, was very decisive in his attempts to be brought before the Top Managers of the US State Department to discuss some questions related to anti-Russian sanctions implementation and Sberbank of Russia operations. Beyond some general explanations, German Gref pointed out that the Bank Top Managers were intended to discuss with the American officials the fact of German Gref’s listing in so-called ‘Kremlin report’, which he strongly objected to. German Gref enforced his letters with public statements that Sberbank of Russia would not open the offices in the Crimea or in Sevastopol in order to avoid sanction listing in the EU or the USA. Hence, it is obvious that Sberbank of Russia does not factually belong to our country. It is formally controlled by the Central Bank of the Russian Federation but in fact, Sberbank of Russia has been taken under control of its ‘supervisors’ Gref & Co. for quite a while. Now Sberbank of Russia is the most expensive Russian business structure. Its capitalization has greatly overpassed the largest Russian industrial companies such as “Rosneft” and “Gazprom”. Usurers are happy since the manufacturers have become their hostages. It is obvious that it is high time we radically changed the existing paradigm. Banks are nothing but the ‘servicing apparatus’ of the country’s industrial sector. The ‘masters of life’ should be taken down a peg in a new social and economic development of Russia where the stakes are being made on those who manufactures and creates, instead of those who make the money out of thin air. The topic of the USA economic sanctions against Russia has become the favourite in Russian mass media starting from 2014; for American mass media, it has become a headline after Donald Trump settled down in the White House. On 3rd August 2017 Trump signed into law “Countering America’s Adversaries Through Sanctions Act” about the sanction regime toughening regarding the Russian Federation, Iran and the DPRK. It provides further limitations in terms of cooperation between military forces, intelligence services and defense industries of the Russian Federation and the USA as well as providing the Russian economy, energetic companies in the first place, with Western credits. The law also provided possibilities to resist “Nord Stream-2” construction. The CAATSA law foresaw some paperwork on completing within a half of a year a list of physical persons among the Russian Federation President’s men who influence Kremlin decisions unwanted in the USA. The task was set to compile lists of companies and other Russian Federation juridical entities whose activity may jeopardize the USA national security. Now the US Establishment shall regularly (once a year) present to the US Congress “black lists” of physical and juridical entities of the Russian Federation with the accompanying information on any individual (accounts and other assets, business relations etc). On 29th January 2018 Washington published the ‘Kremlin report’ listing 210 (two hundred ten) physical persons of the Russian Federation divided into sections: “The President Administration”, “The Cabinet of Ministry”, “Other senior political leaders” and “Oligarchs”. The “Kremlin report” embeds another, closed, part devoted to the members of the US Congress specially. In March 2018 Washington complemented the sanction lists with new personae (13 people and 3 companies) accused in interfering American elections. The same month the list was added with six new individuals (officers of the Federal Security Service (FSB) and the General Intelligence Directorate (GRU)) for their possible complicity for network attacks with e-virus NotPetya. It coincided in time with Russian diplomats expulsion from the USA (60 people). Under Washington’s pressure other 14 countries-members of the EU, Canada, Norway, Albany, Macedonia and Ukraine expulsed the Russian diplomats. The expulsion grounds were imaginative story of poisoning in Great Britain of former officer of the General Intelligence Directorate Sergey Skripal. Published on 6th April 2018 by Washington a new ‘black list’ of 17 Russian officials, 7 businessmen and 14 companies became the next strike. Only two out of these companies were state ones – “Rosoboronexport” and the “Russian Financial Corporation”. The rest were private – “Agroholding Kuban”, B-Finance Limited, EN+ Group, “Renova”, “Gazprom Drilling”, “NPV Engineering”, “Ladoga Management”, “GAZ”, “Rusal”, “Basic Element”, “Eurosibenergo” and “Russian machines”. Physical persons were Oleg Deripaska and Igor Rotenberg, Alexey Miller, the Head of Gazprom, Nikolay Patrushev, the Committee for State Security Secretary, Andrey Kostin, Head of Vneshtorgbank, Alexandr Zharov, Head of Roskomnadzor, Viktor Zolotov, General of Federal National Guard Troops Service and others. In May and June Washington sanction lists were enlarged with some new Russian physical and juridical entities. The sector sanctions were being implemented at the same time. Before Donald Trump’s office the sanction measures against three key sectors of the Russian economy had been adopted - energetic, defense and banking ones. They mean that the sanction restrictions and limitations extend over all companies of the aforementioned sectors including those who avoided the ‘black listing’. The pressure from Washington is growing. In the beginning of August they got circulated the information that the US Senate would be considering a bill “The Defending American Security from Kremlin Aggression Act, 2018” (DASKAA). It was introduced by a Republican Senator Lindsey Graham, its author, who called the proposed measures the ‘most severe’ from all sanctions that had been adopted before against the Russian Federation. It provides ampler limitations against the Russian Federation debt securities, Americans will be prohibited to participate in Russian companies’ oil and gas extraction projects, the Russian uranium export will be limited. On 8th of August the Press-Secretary of US State Department Heather Nauert stated that new pack of anti-Russian sanctions was on their way in order to be introduced on 22th August and this time they would limit import to the Russian Federation of industrial equipment from the USA (electronics, calibration equipment, gas-turbine engines). They embrace the American import for many hundreds of millions of dollars. The sanctions may also include the goods of dual purpose, used in cosmonautics, aviation and energy manufacturing. Nowadays the sanction pressing over Moscow is being cast through the Congress and through the USA Administration, despite of the fact that the American President’s possibilities in making decisions on anti-Russian sanctions have been seriously limited today contrary to times of Obama’s office. Many congressmen and officials suspect Trump to be too ‘kind’ towards Moscow. Many Russian mass media expose the topic of anti-Russian sanctions as something unexpected, like in V. Cheknomyrdin’s catchphrase ‘it never happened and now again’. The truth is that it happened. It had happened a while ago and almost never stopped. During a century the relations between two countries showed constant pressure from Washington on the USSR and later on the Russian Federation via economic sanctions. But this is a question of a world politics. Although, the question of the criminal activity of the Chairman of the Central Bank of the Russian Federation Elvira Nabiullina and the Head of the Savings Bank of Russian Federation German Gref directed to destruction and wreck of the present state presents nowadays the uttermost importance for President of the Russian Federation Vladimir Putin and the State Administration and requires the urgent decision and cannot be postponed for future.